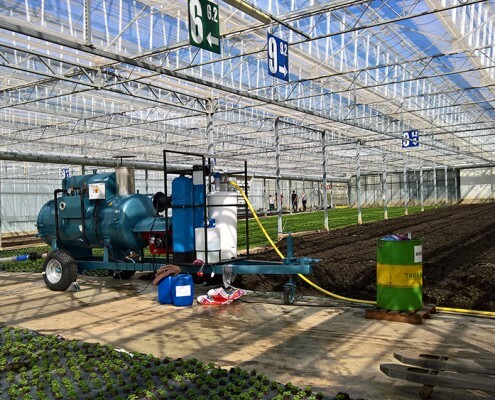 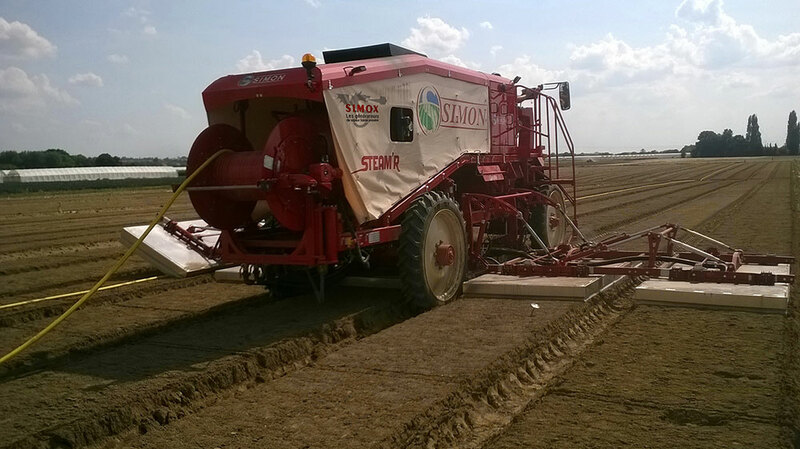 With SIMOX low-pressure steam generators, the principal is to bring the ground to a temperature high enough to destroy a maximum amount of parasites and weeds while respecting the micro organisms useful for cultivation. 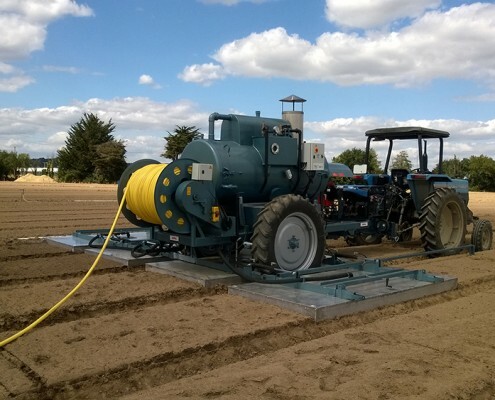 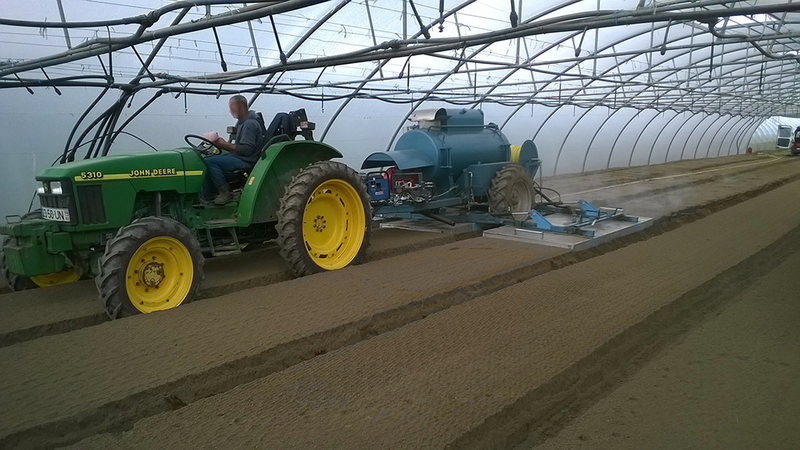 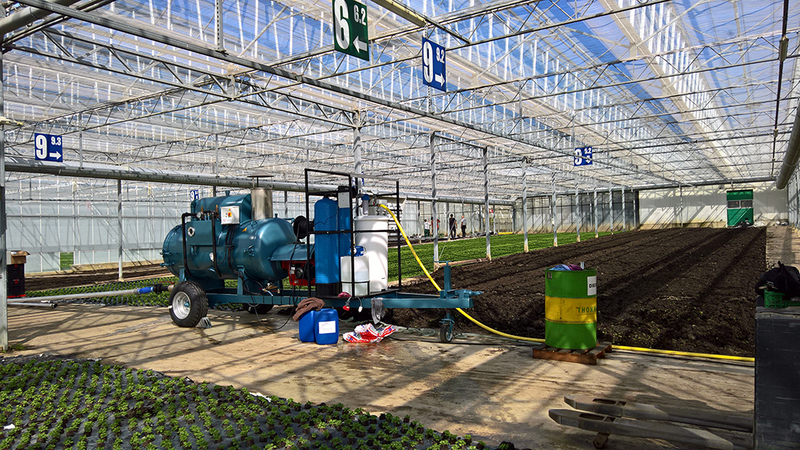 Why use low-pressures steam for disinfecting ground soil, but also for disinfecting the substratum like planting soil and composts? 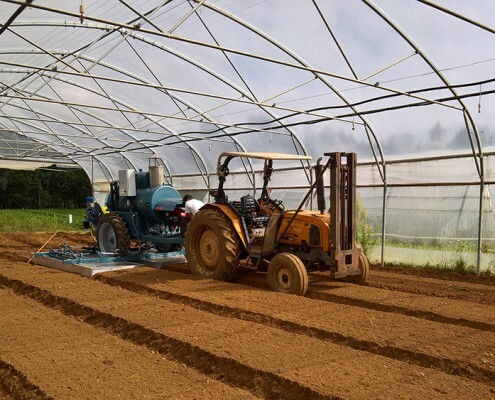 A healthy and natural method: no toxic residue left in the ground, nor in the harvested products, disinfecting the ground soil with steam plays an important role in the fight against pollution and the return to an improved biological balance. 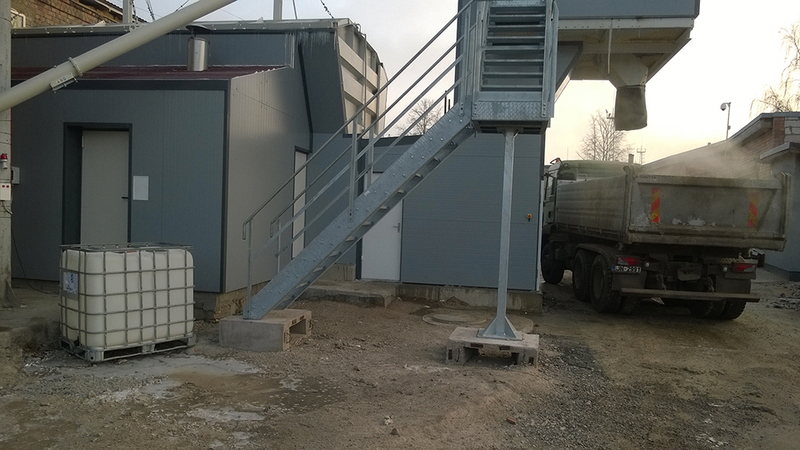 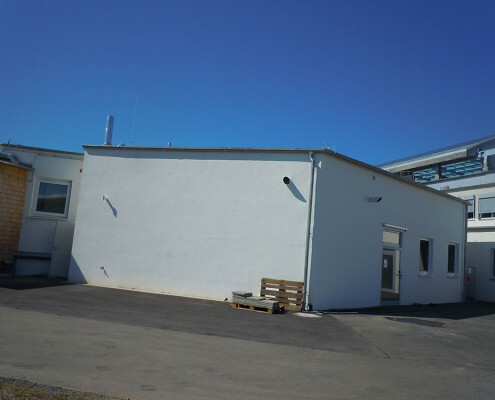 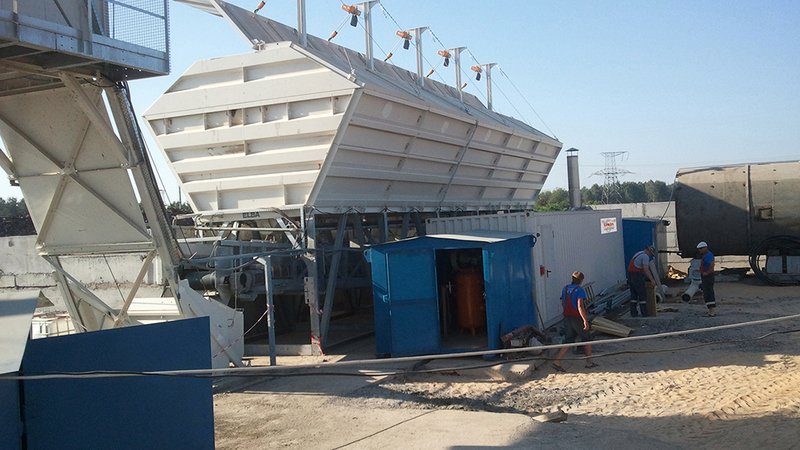 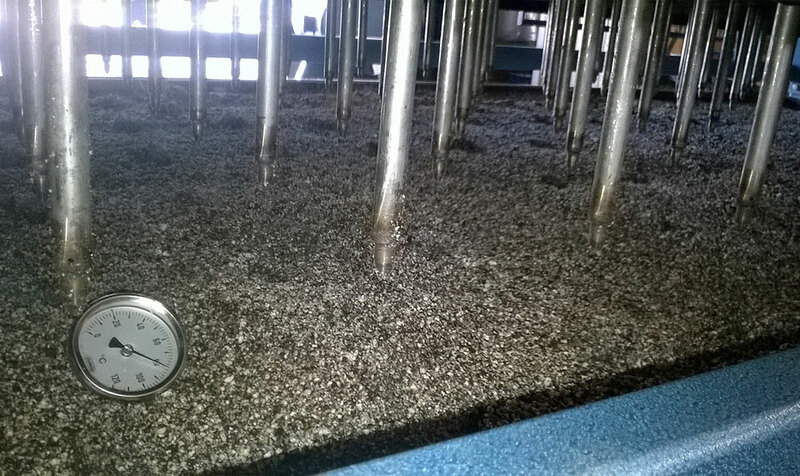 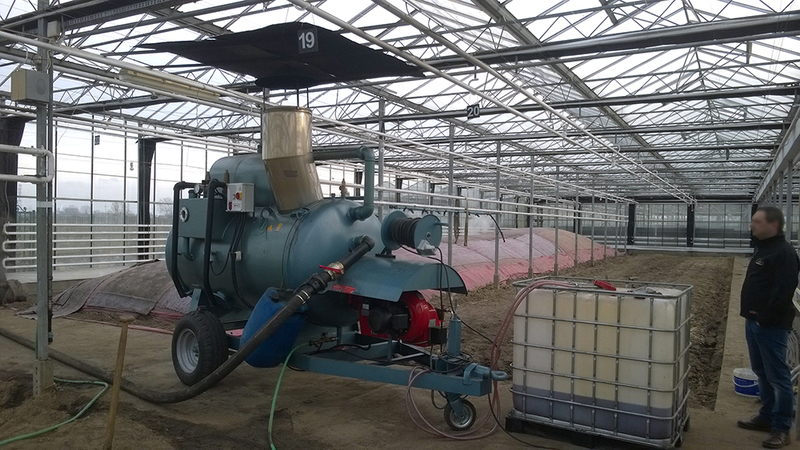 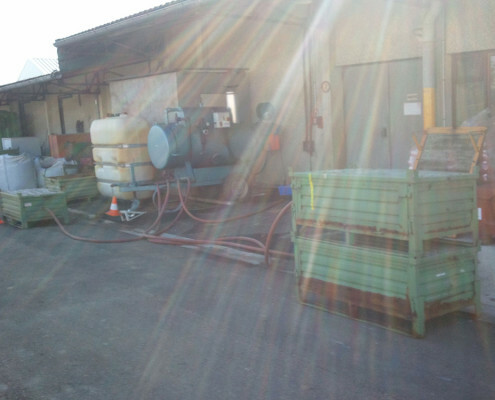 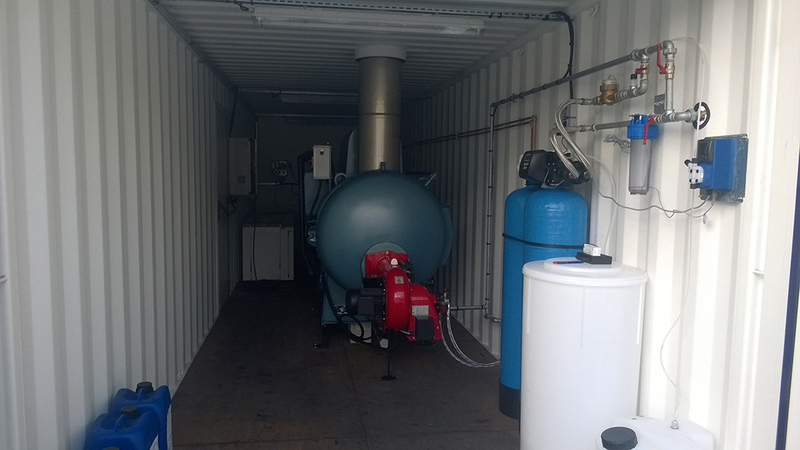 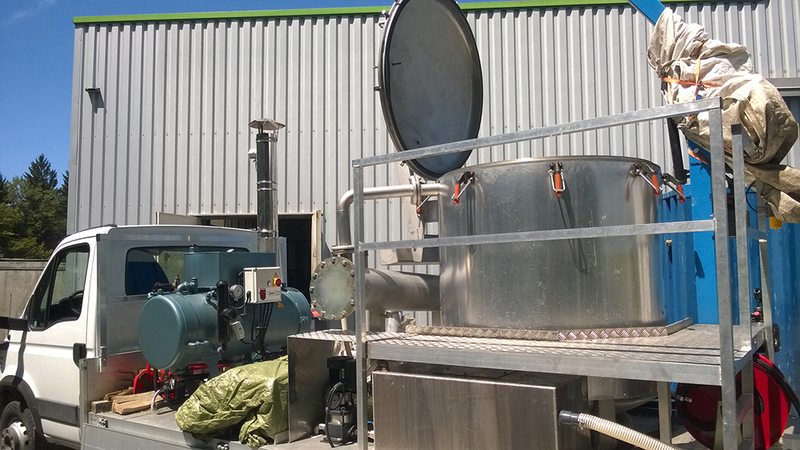 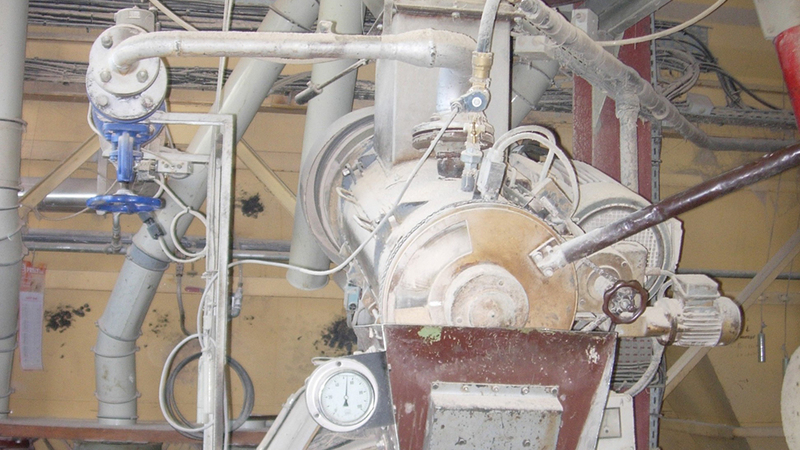 It is possible to plant new seeds immediately at the end of the steam disinfecting process. 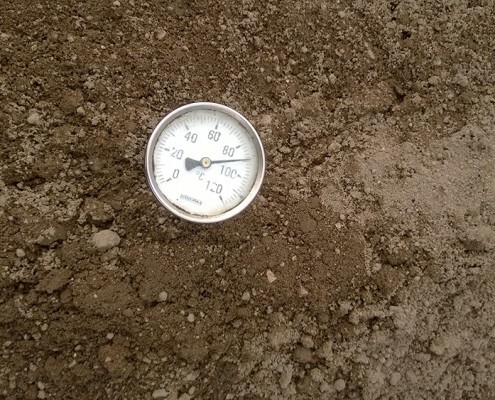 Improved assimilation of elements by the soil. 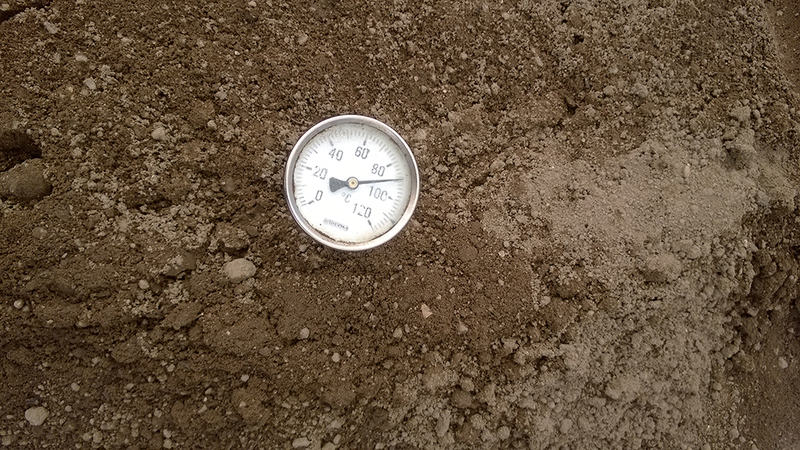 Respect for bacterial activity, as the temperature does not go above 90°C. 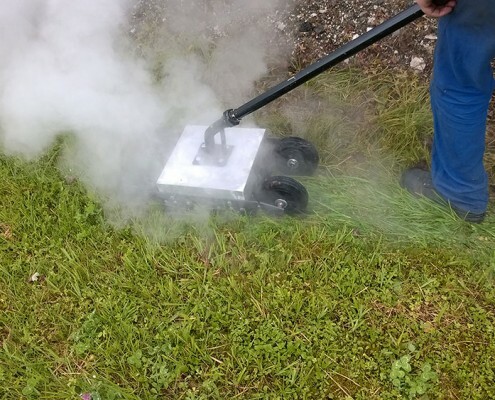 100% weed-killing: Roots and seeds of the weeds are scorched thanks to the steam vapor. 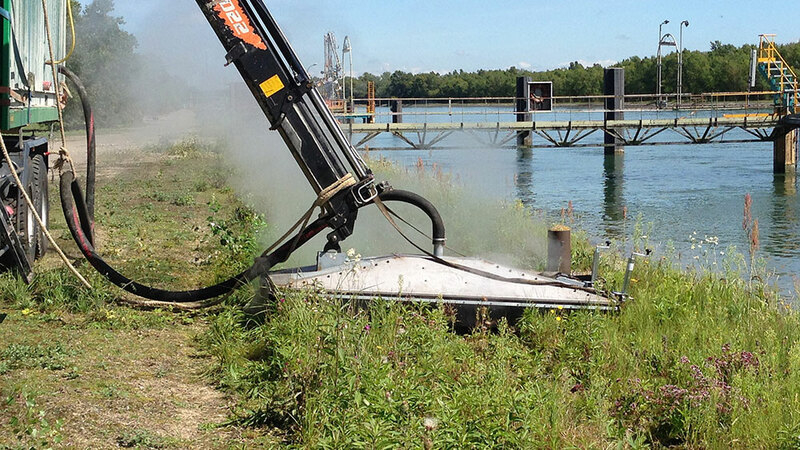 Weeds are eliminated. 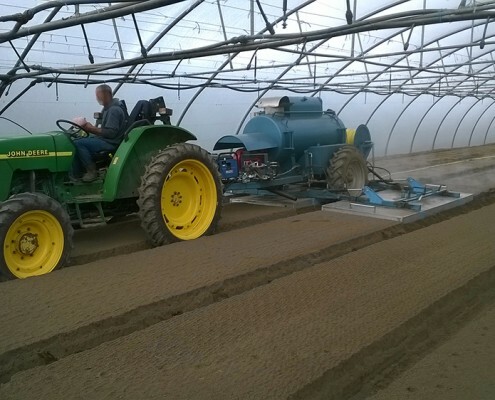 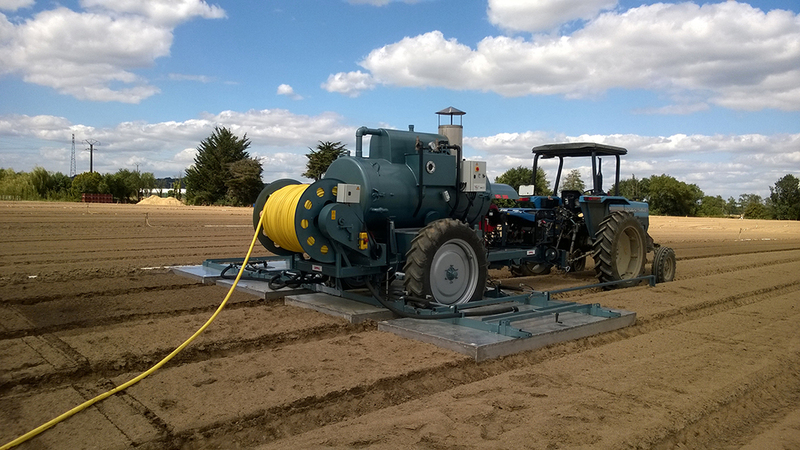 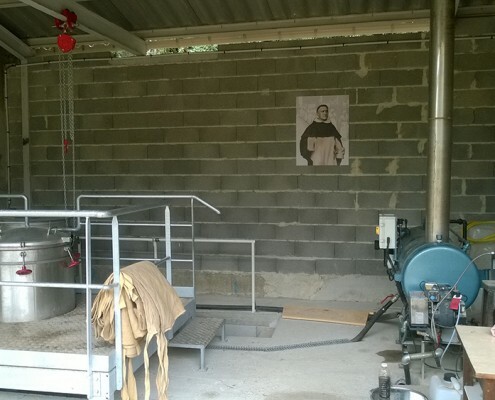 On a farm operation, a steam generator is amortized by the elimination of weed control. 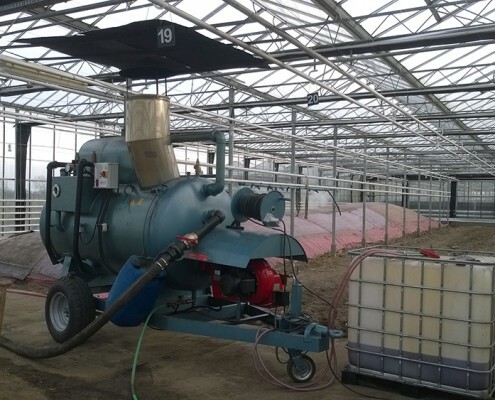 The over-heated steam at high temperatures (170° to 180°) increases its penetration rapidity into the soil and reduces the disinfection time by about 20%, thus reducing costs. 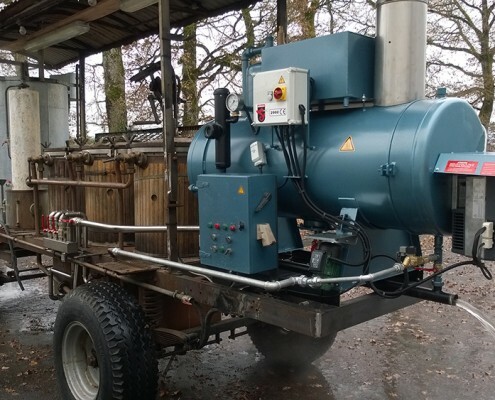 Associated with high thermal outputs, our steam generators have the lowest disinfection costs per hectare on the market. 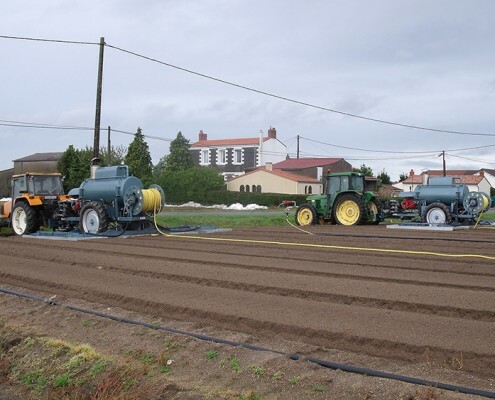 Choose a 100% natural solution to disinfect ground soil, without chemical products. 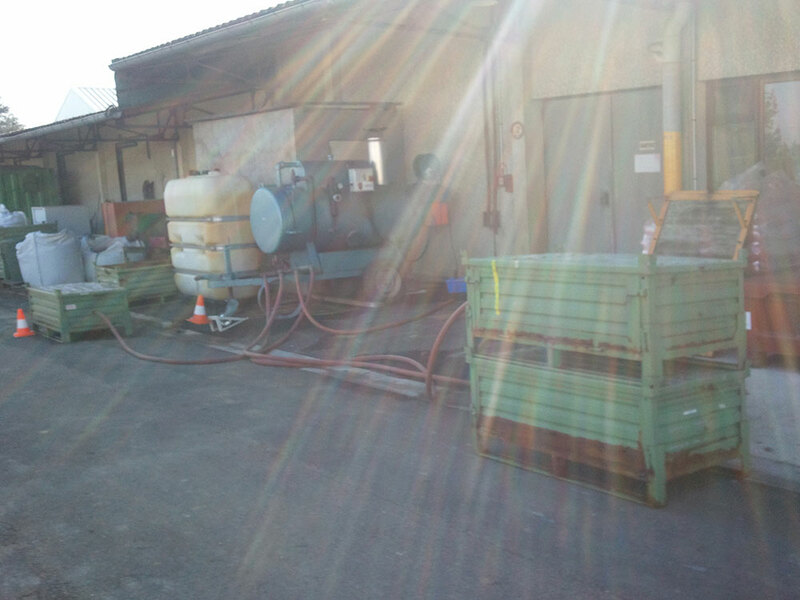 The fastest solution for warm concrete! 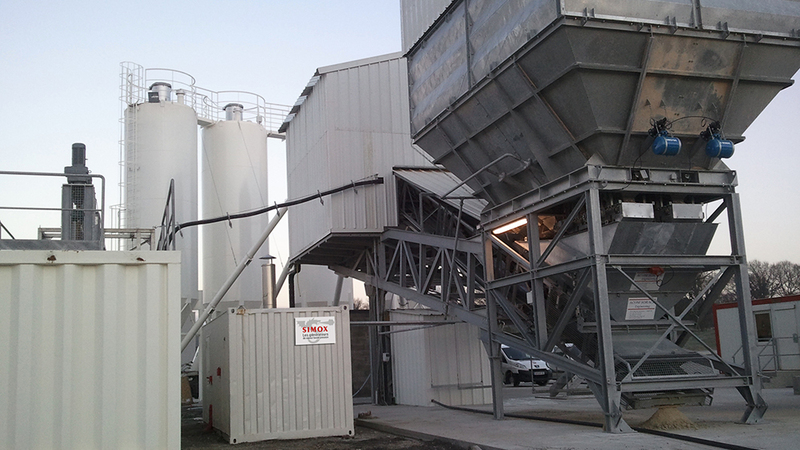 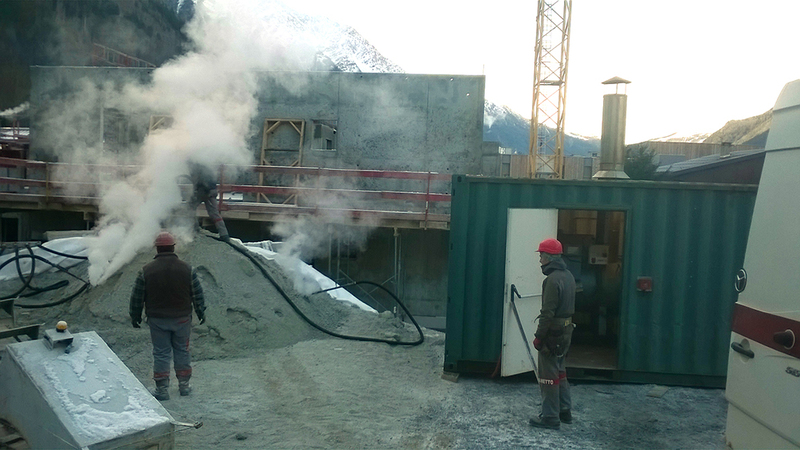 The use of low-pressure steam in making warm concrete is firstly useful to thaw the central unit for production. 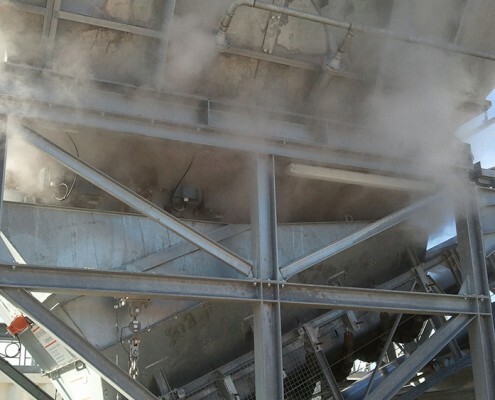 The steam is used to warm the aggregates or the water in order to obtain warm concrete at an optimal temperature for an improved adhesion and solidity of the concrete, notably with low temperatures during the winter. 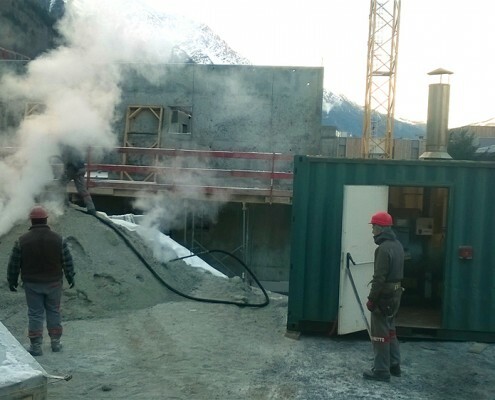 A minimum temperature for concrete at 15°C can be imposed in the worksite specifications. 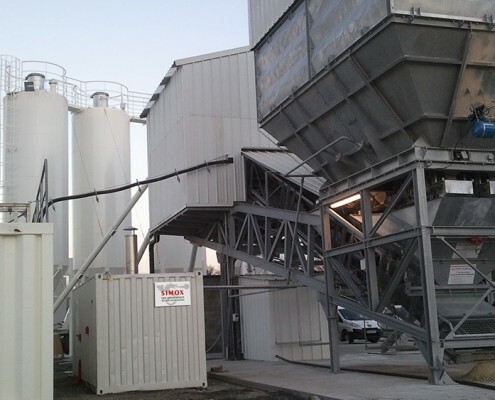 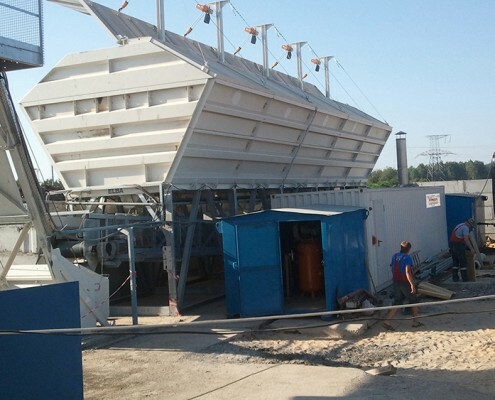 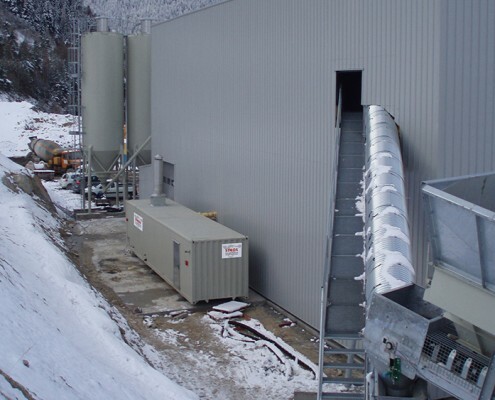 The principle of warming the aggregates: it allows the thawing of the aggregates in the receiving hoppers and the storage areas. 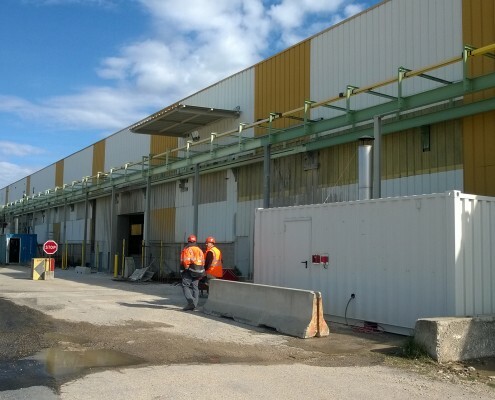 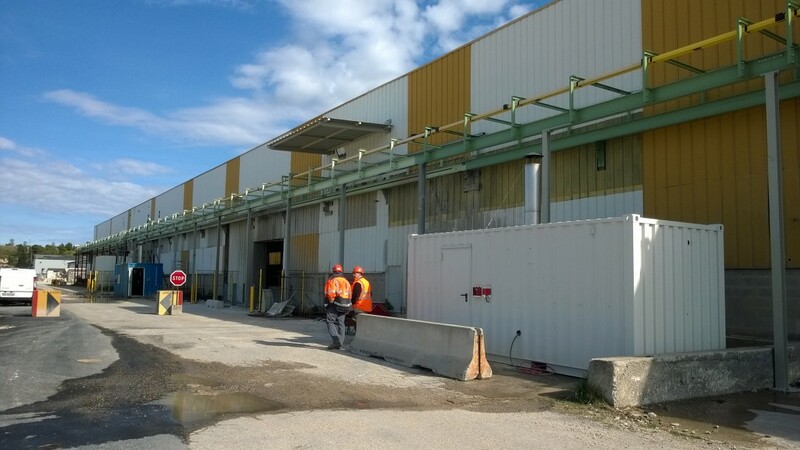 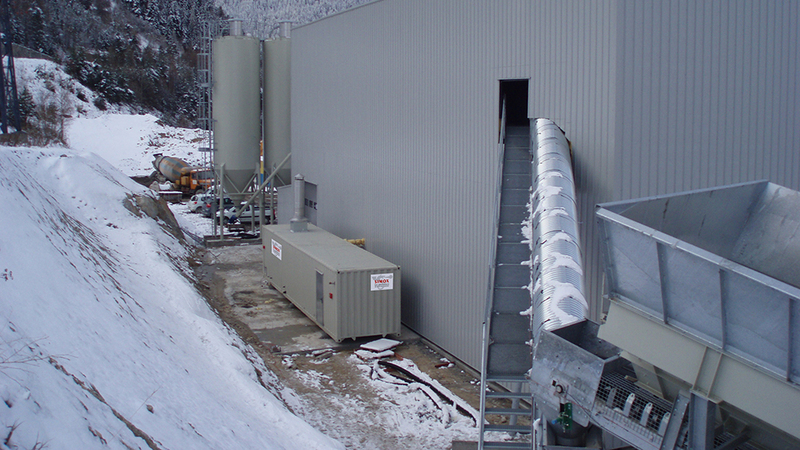 This permits the concrete central unit to function in temperatures as low as -40°C. 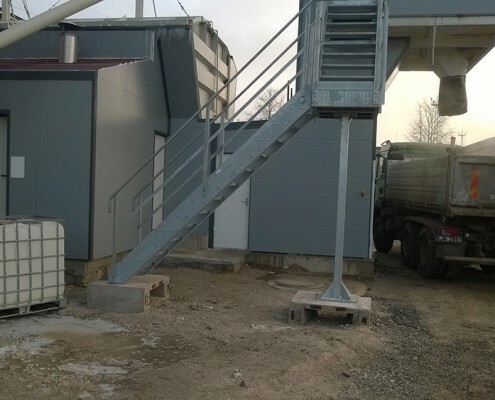 By the bias of special pipes implanted in the aggregates, in their storage areas. 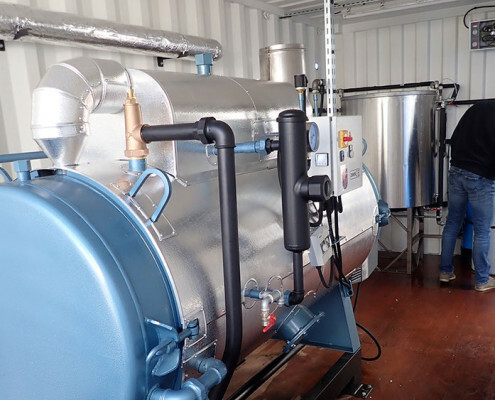 Adding warm water for mixing supplied by the “SIMOX Hot Water Production group” allowing for large volumes of water at a constant temperature. 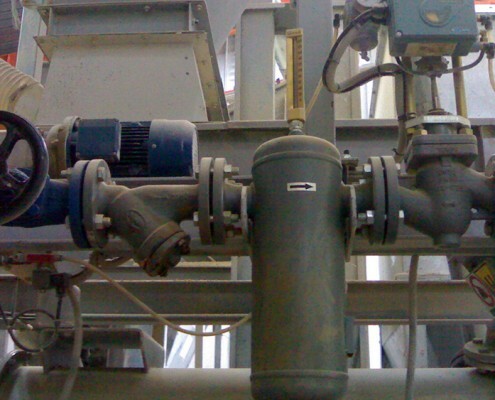 This assemblage allows for an optimal regularization in the heat supply between the aggregates and the mixing of the water. 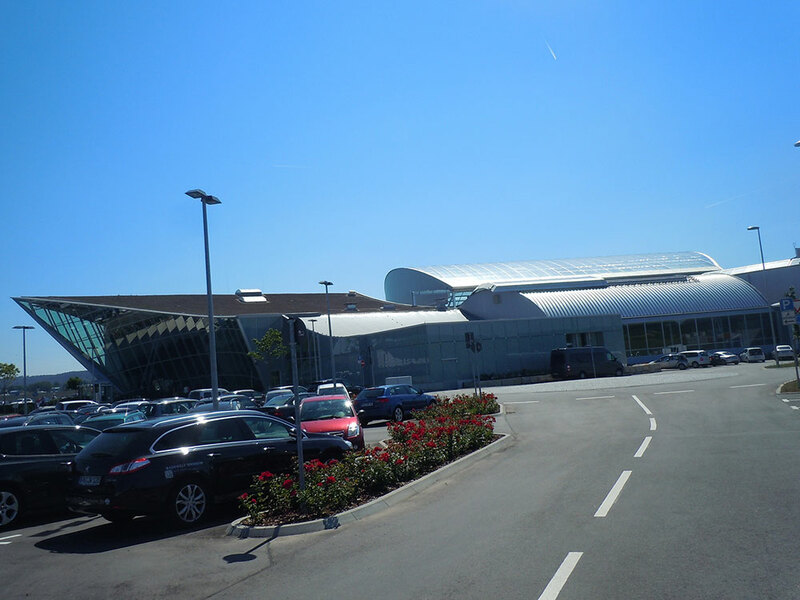 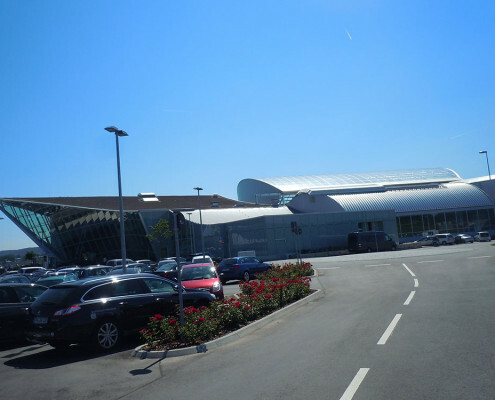 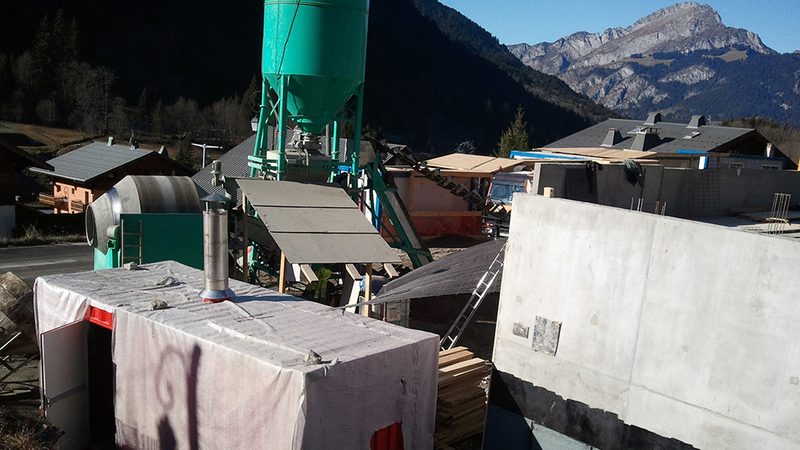 In this way, the concrete obtained can have a temperature above 15°C, no matter the exterior temperature. 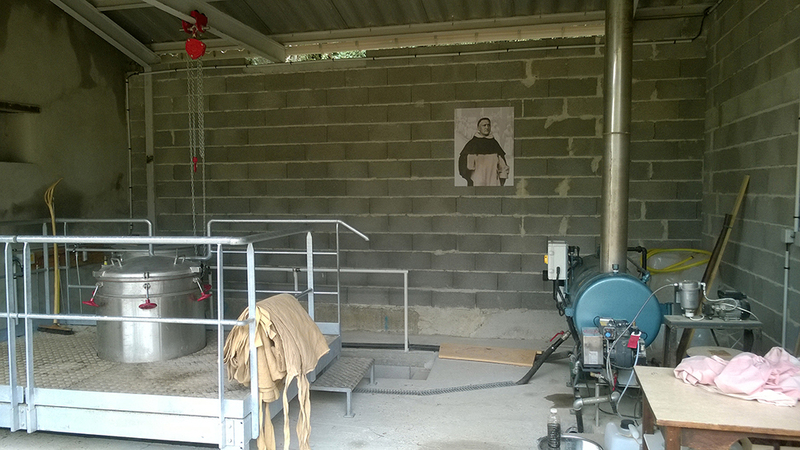 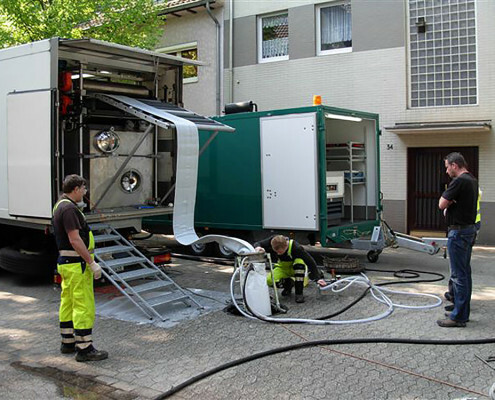 Their mobility makes the SIMOX Hot Water Production group easy to use. 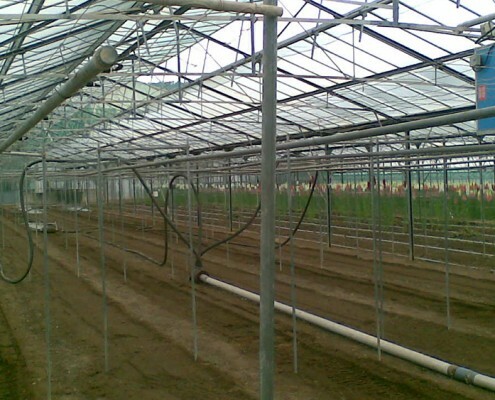 An ultra resistant system allows for daily use. 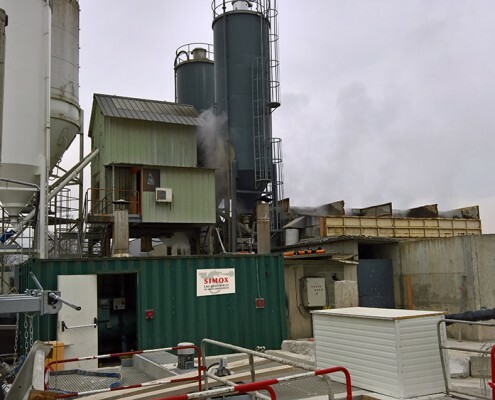 Why use the low-pressure steam in the making of warm concrete? 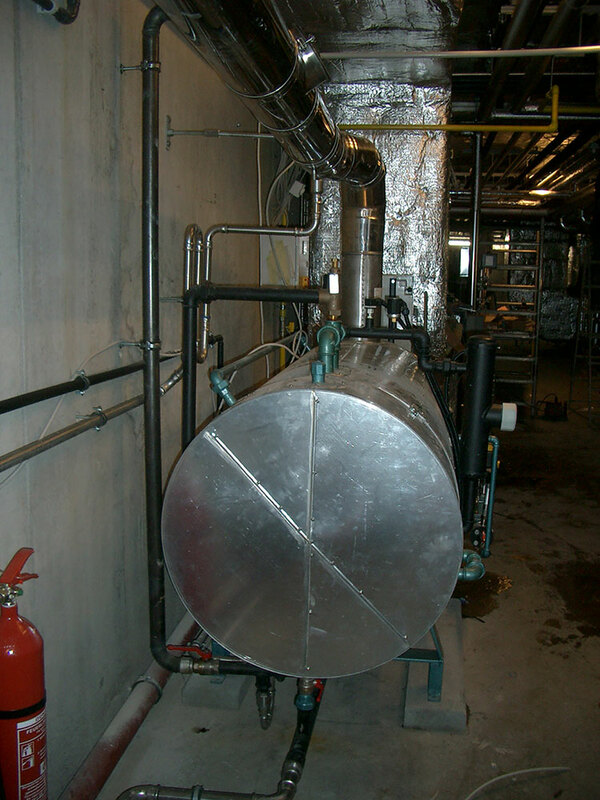 The low-pressure steam has a heat exchange capacity which is higher than hot air. 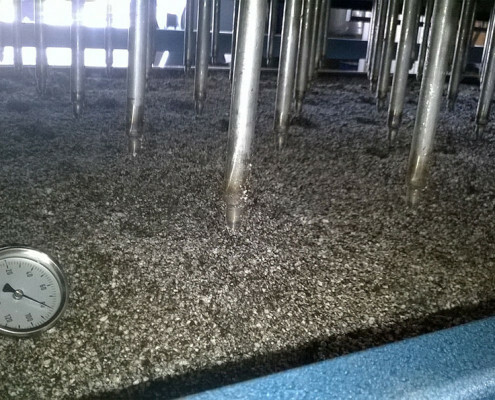 The aggregates remain at a stable temperature. 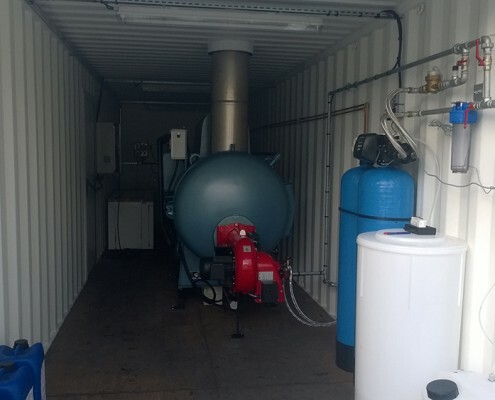 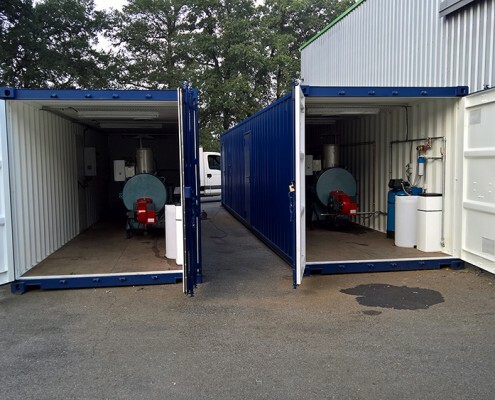 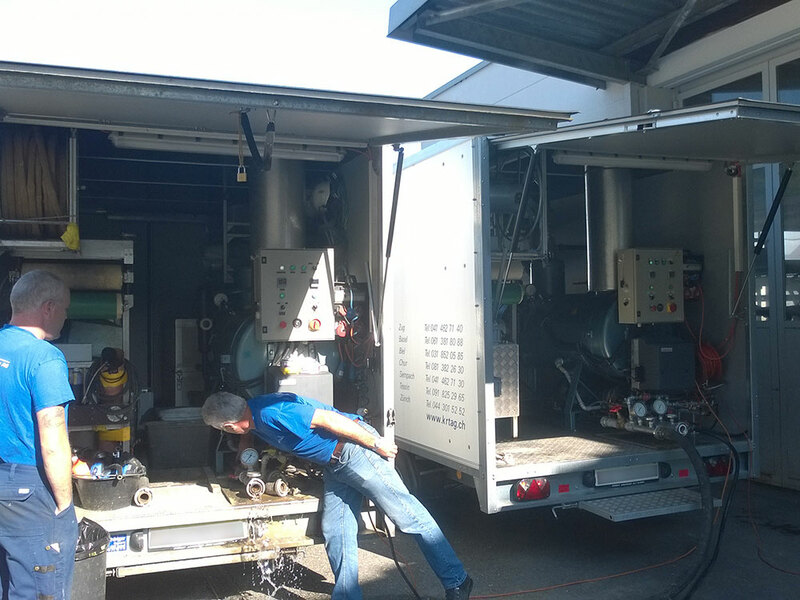 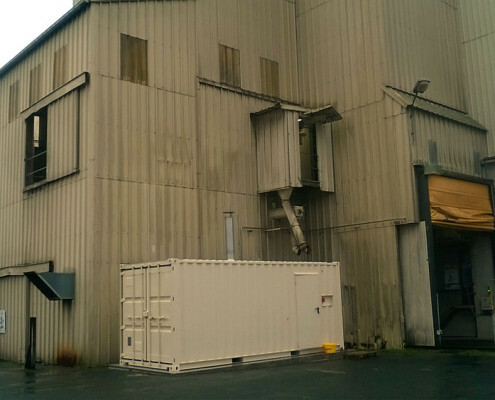 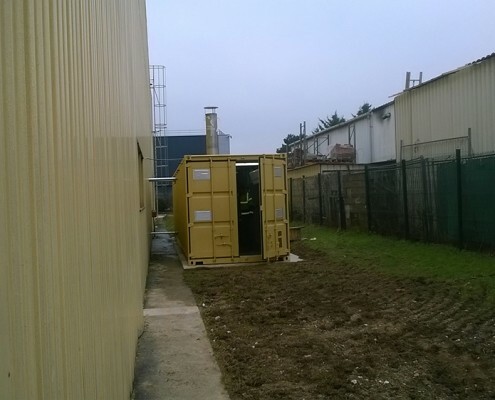 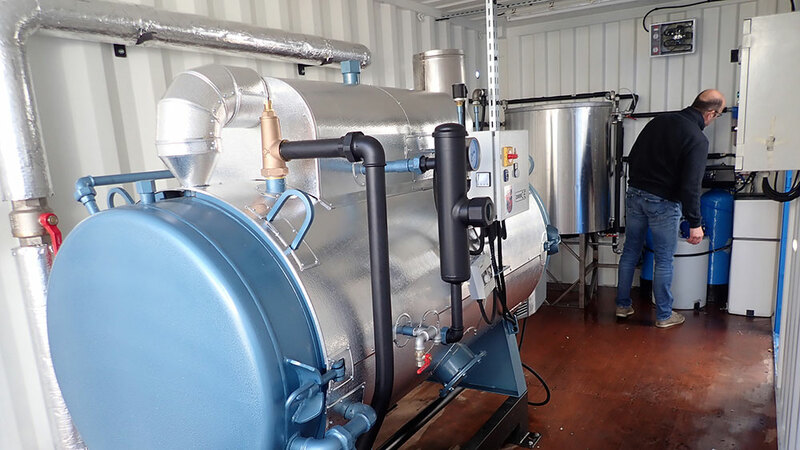 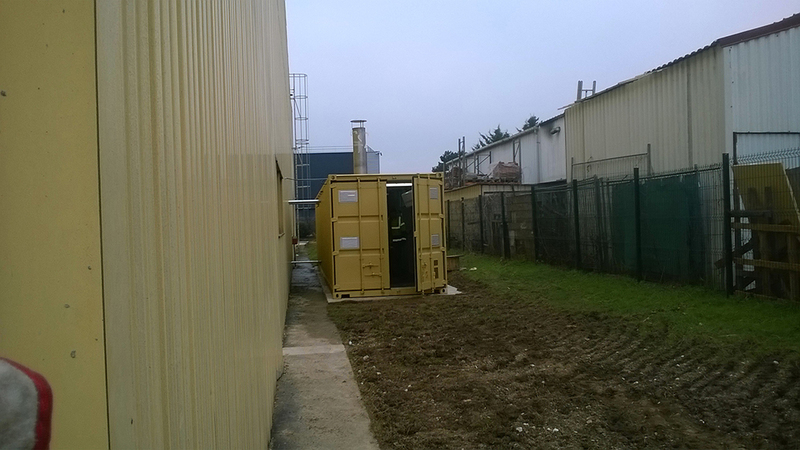 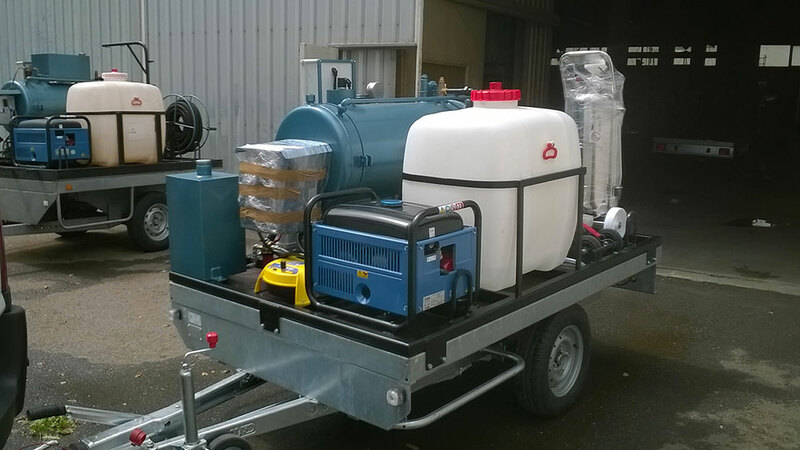 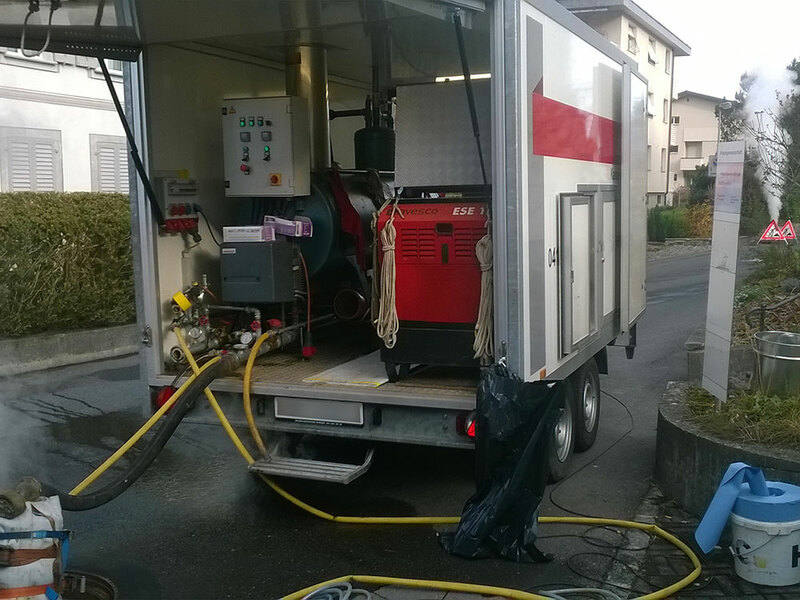 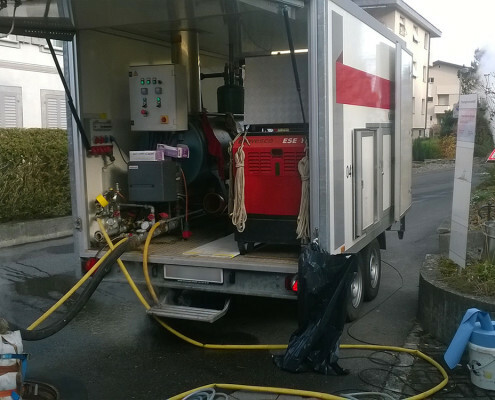 Choose the mobile heating containers for rent, a key solution for on-site work with a low-pressure steam generator, a fuel tank, the hot water production and all of the exterior plumbing and connections. 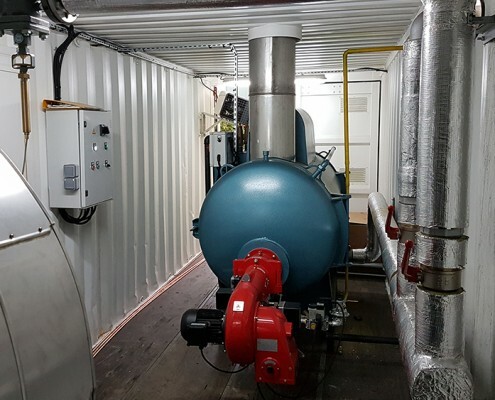 Low-pressure steam generator solutions, to meet the specific needs of construction professionals. 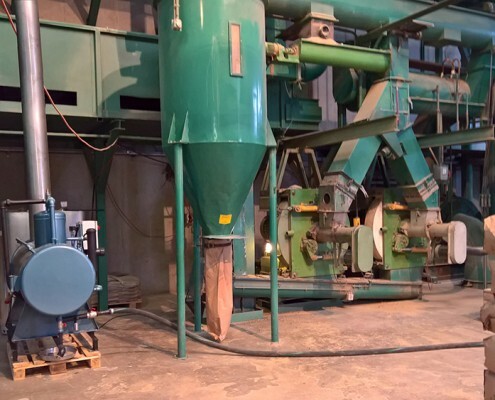 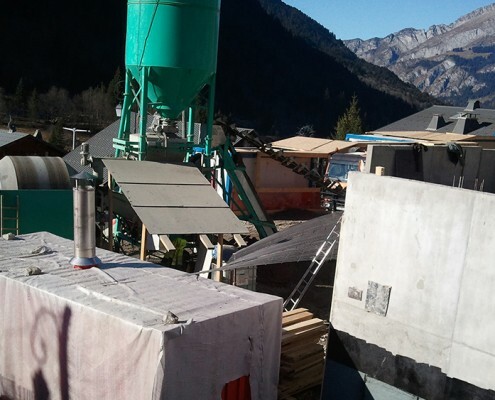 Producing warm concrete, warming the aggregates and producing hot water with the SIMOX solutions allow to produce in low temperatures, while creating high-quality products and optimized output thanks to a more rapid adhesion. 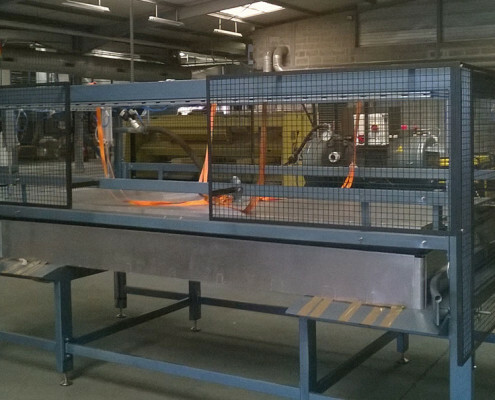 The solution for accelerated molding rotations! 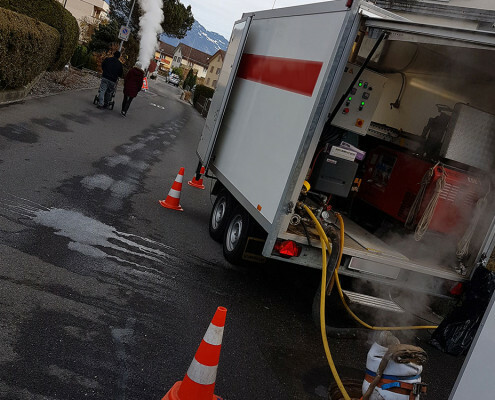 Obtain faster adhesion? 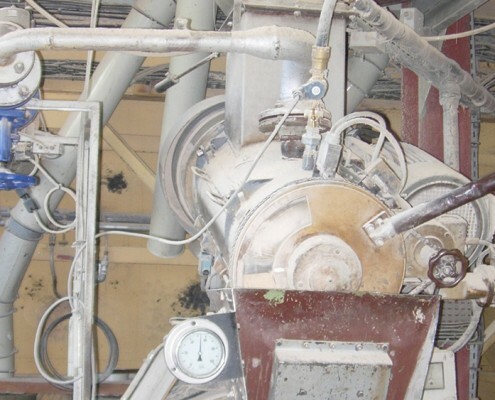 Concrete with a high compression resistance? 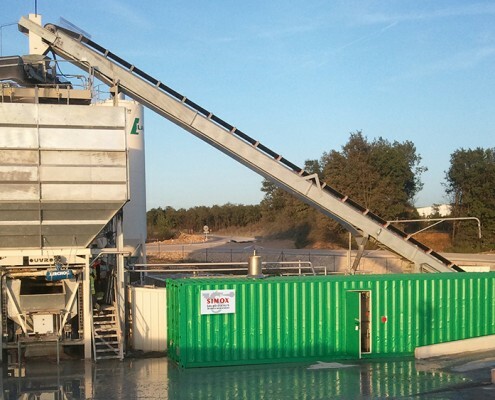 A cleaner, more homogeneous concrete? 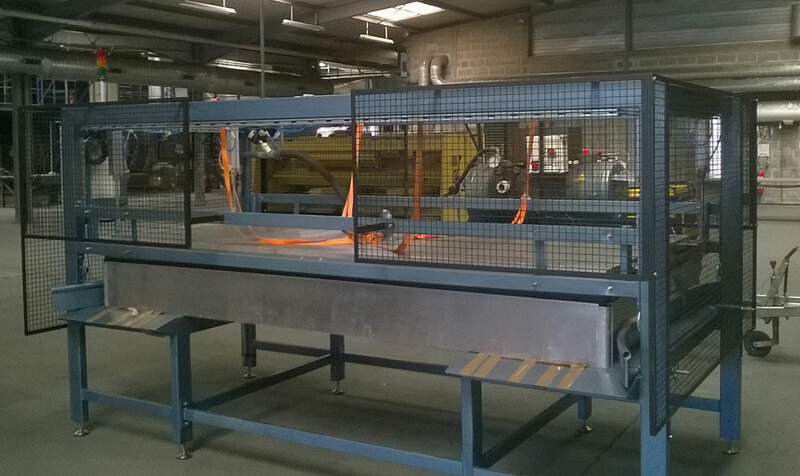 The possibility of manipulating your prefabricated items faster? 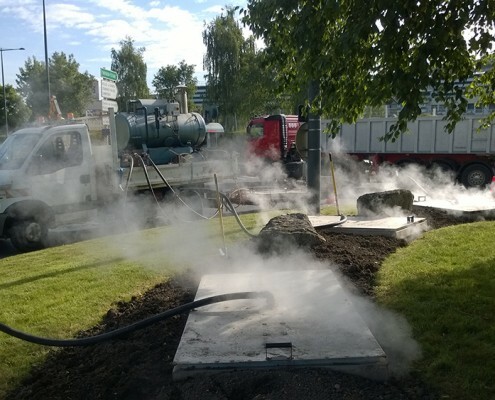 Our solutions of SIMOX low-pressure steam will allow you to answer these challenges on your work sites. 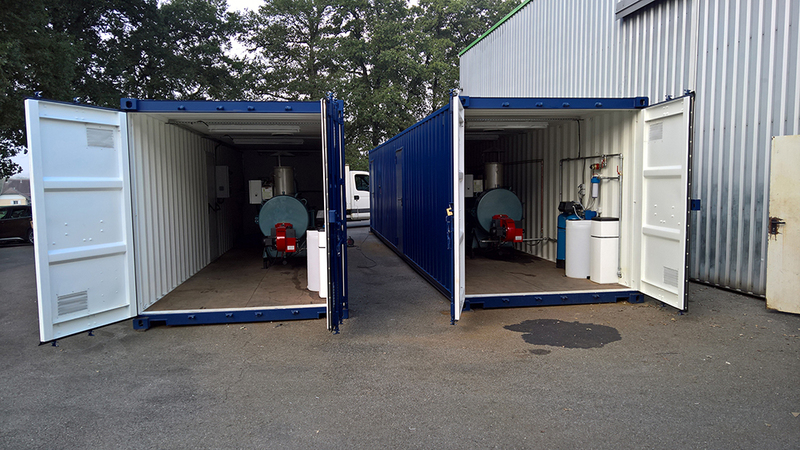 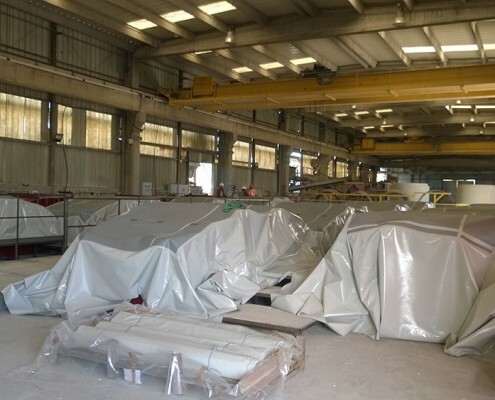 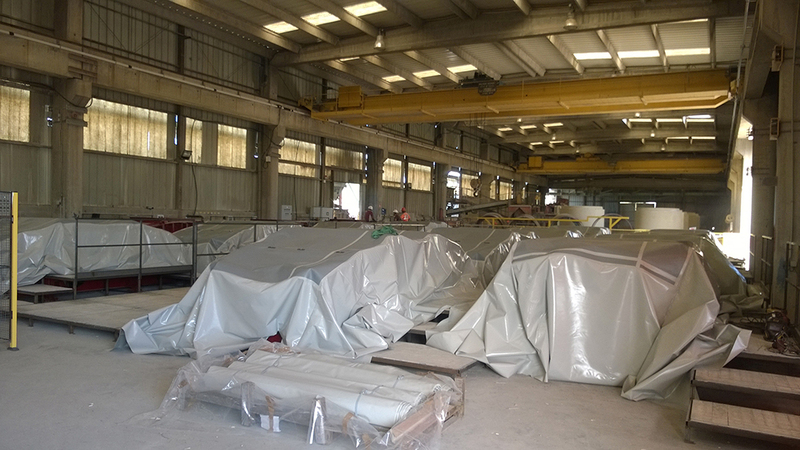 Why use the low-pressure steam to dry pre-stressed prefabricated items? 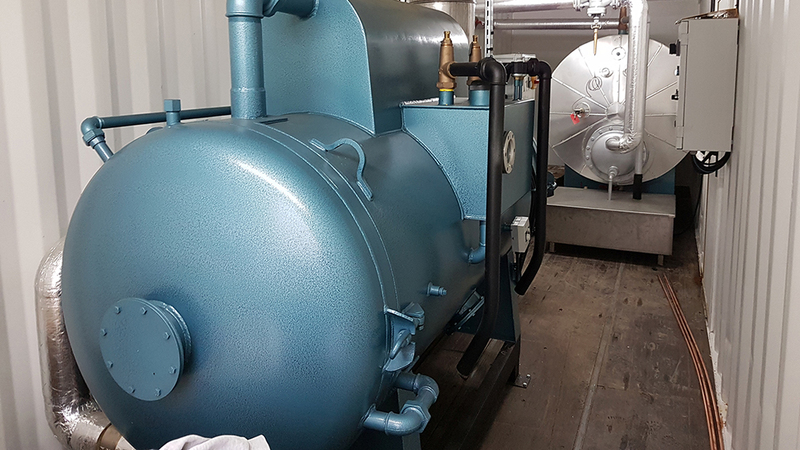 Material for water treatment (softening, regulating pump) to improve the length and the adhesion of the steam generator (Generator not guaranteed without adequate water treatment and follow-up). 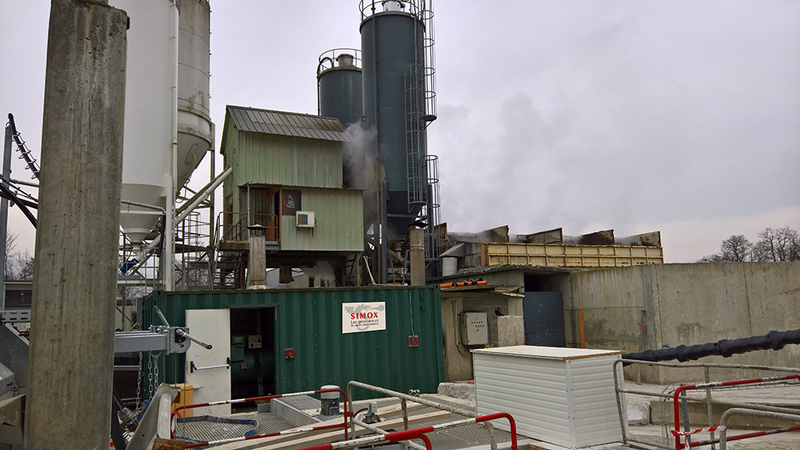 Choose the SIMOX solutions for steam drying concrete (blocks, prefabricated, pre-stressed) for optimizing work site planning. 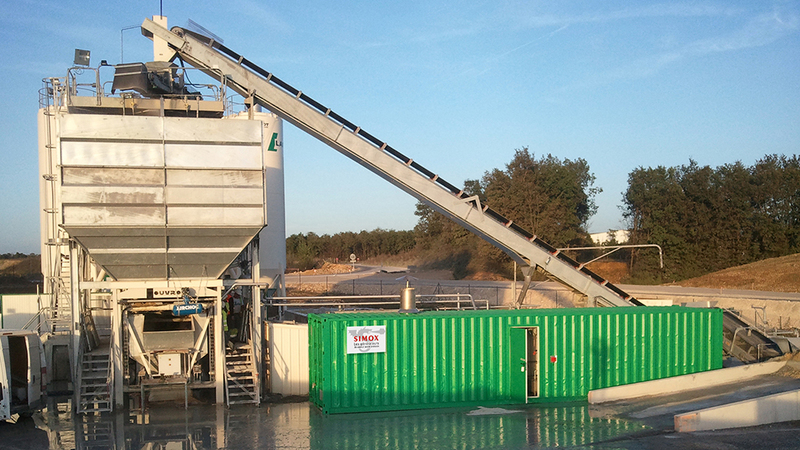 The best output thanks to quicker rotations, more important storage and delivery solutions. 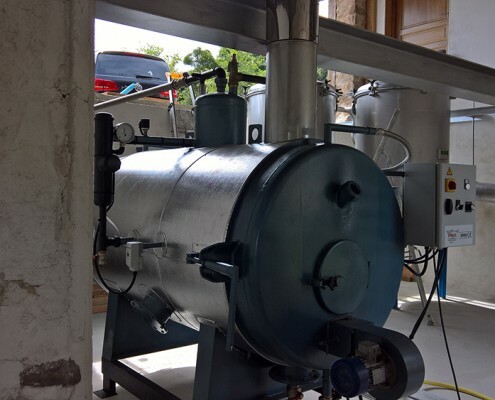 Why use low-pressure steam for distillation? 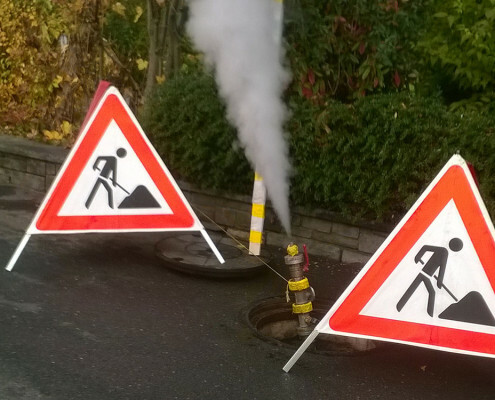 The low-pressure steam is not subject to specific standards. 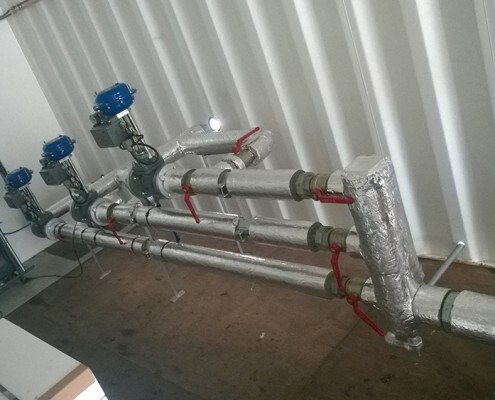 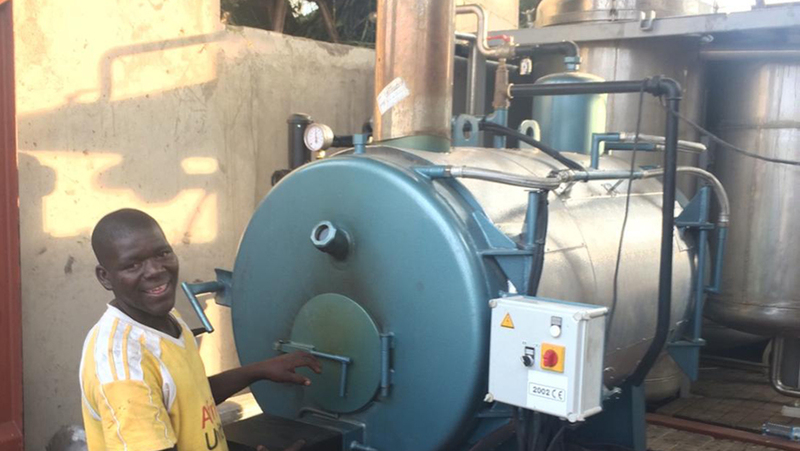 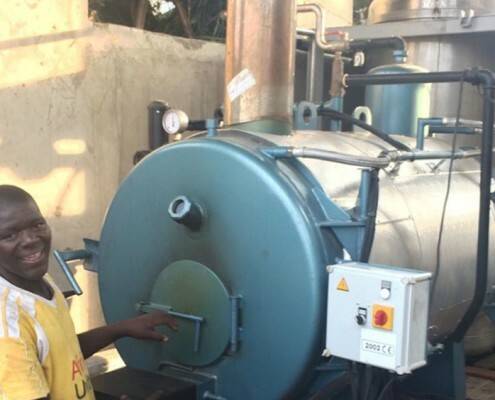 It is used for distillation purposes from 50 to 2000 kg/steam while staying within the standard limits. 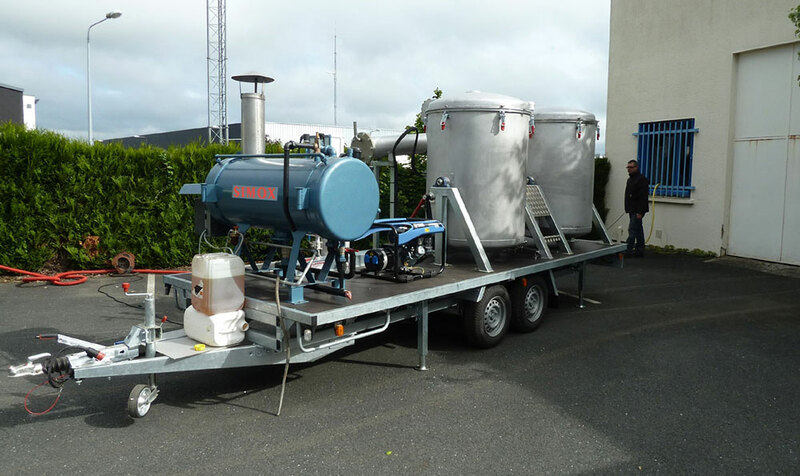 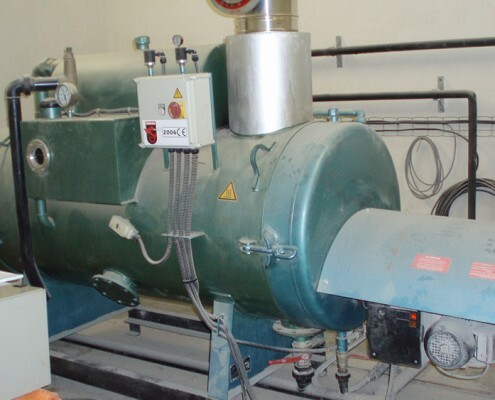 Low-pressure steam generator solutions answer the specific needs of industry professionals: Distillation, animal food, liquid heating, sterilization, sauna laundry services, pipe reparation, and destruction of organic materials. 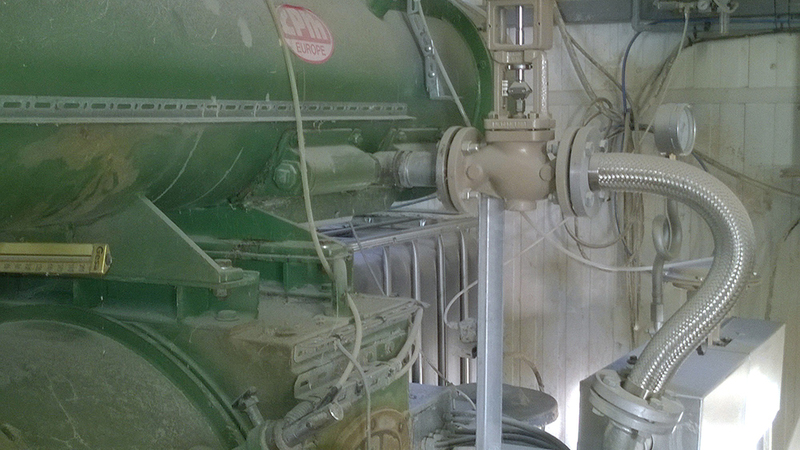 The optimal solution for making composed feed and granules for livestock. 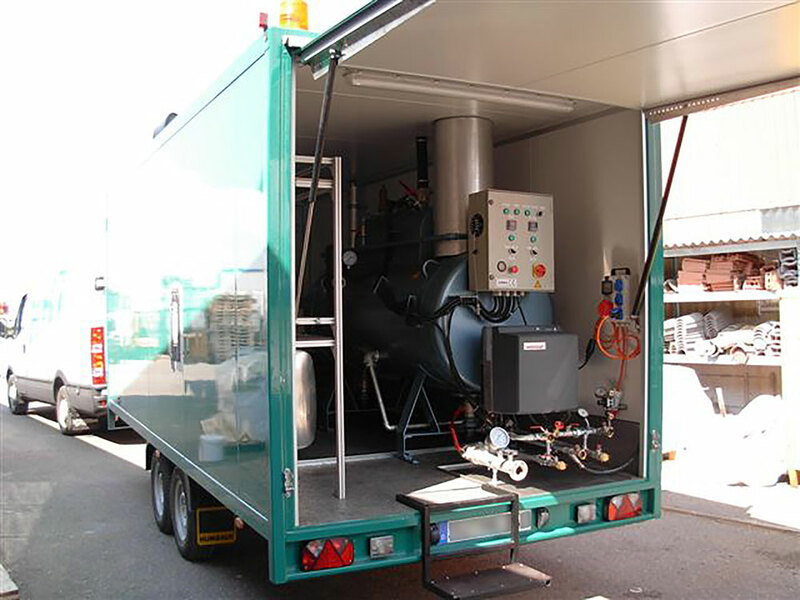 The low-pressure steam generators contribute to the making of animal food for livestock with the injection of steam in the pellet-making process. 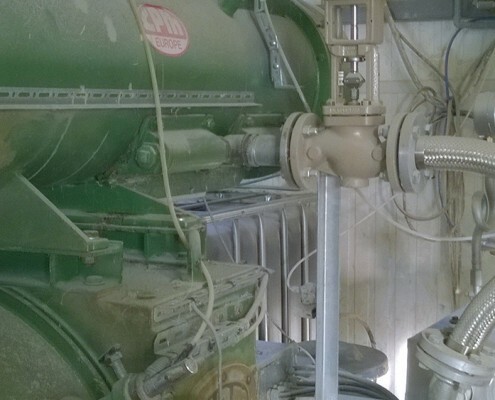 Why use low-pressure steam to make animal food? 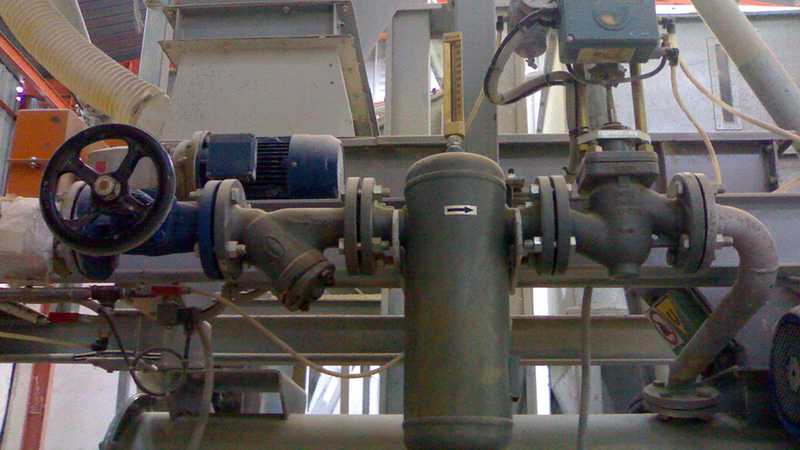 Wide range of steam products (regulation valves at the press entrances). 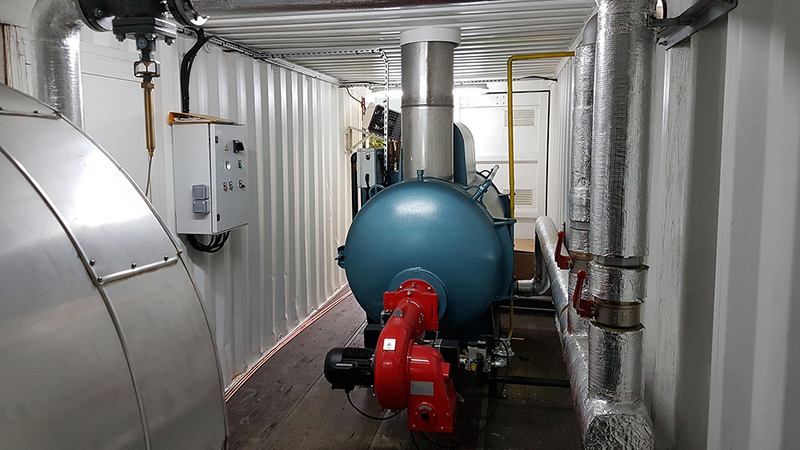 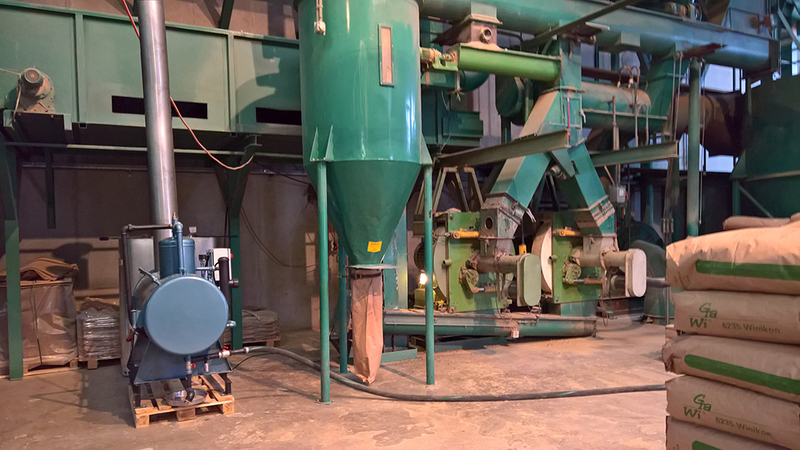 The low-pressure steam generators used in the making of livestock pellets contributes to the optimization of production output while increasing the life span of the production mechanisms and allowing for improved compactness. 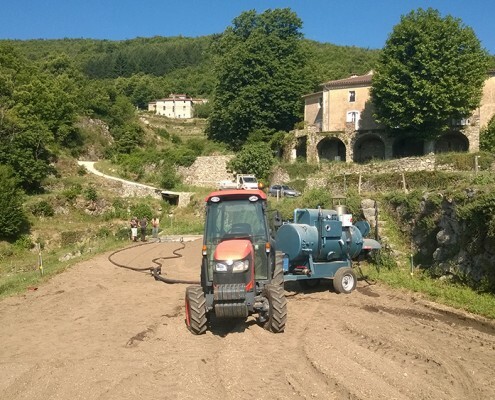 The 100% ecological weeding solution for green spaces! 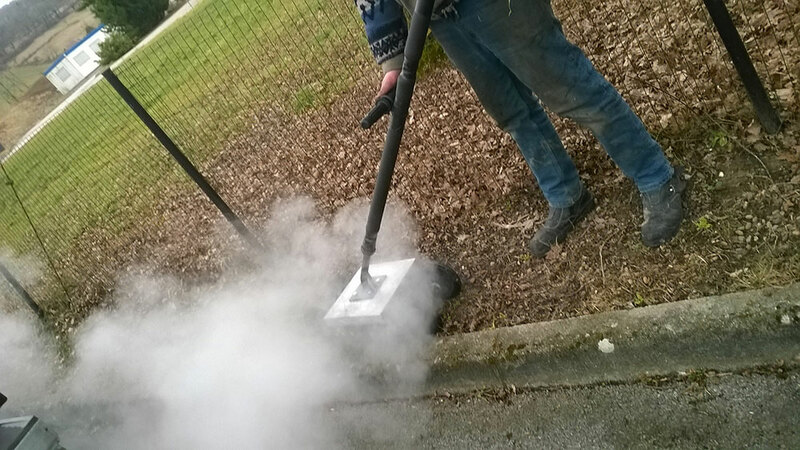 Efficient and precise weeding and disinfection of green spaces, only using steam. 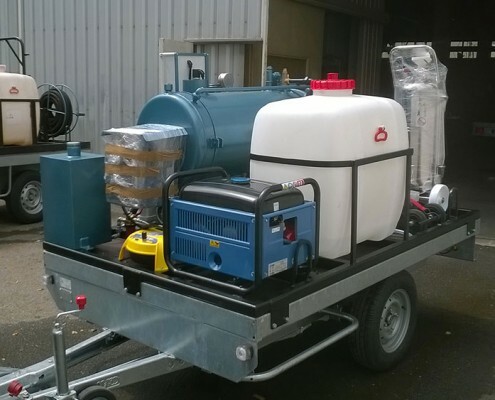 The ideal solution to replace chemical products. 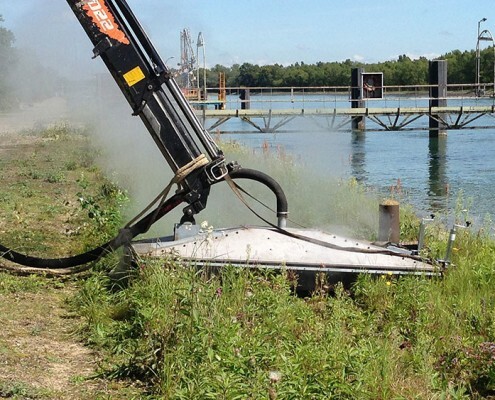 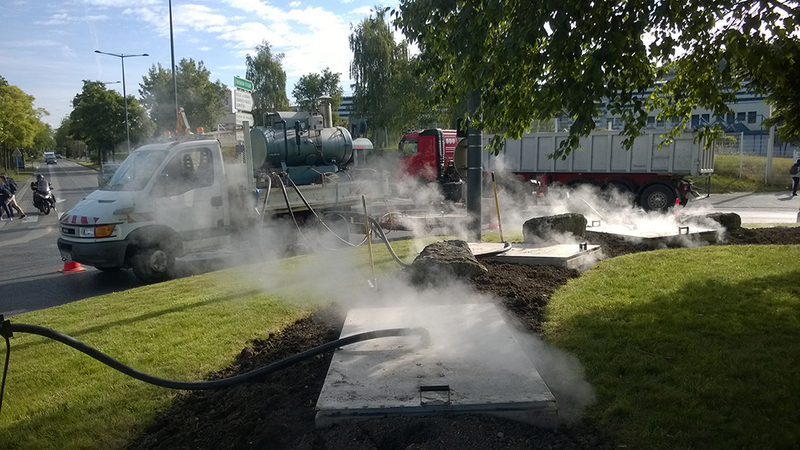 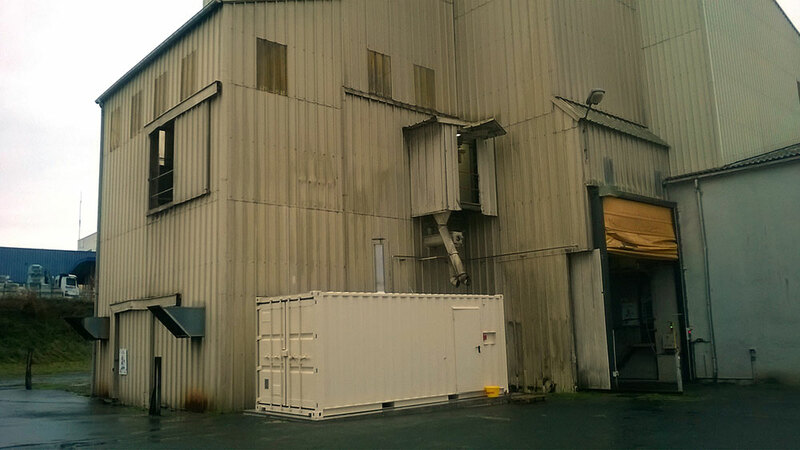 The weeds and moss are destroyed thanks to an immediate overall coverage by the steam heated to over 170°C. 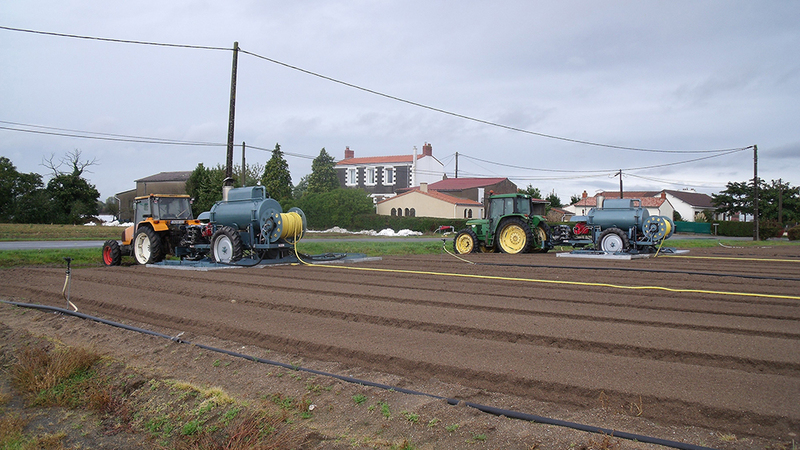 Using the low-pressure steam: ecological weeding. 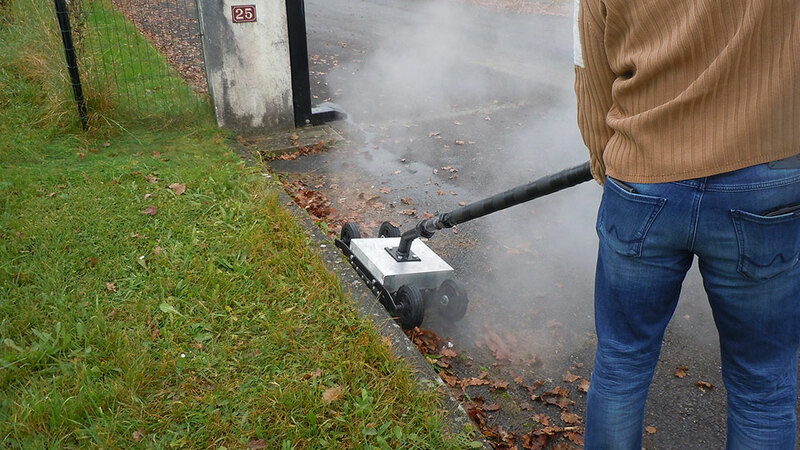 Why use low-pressure steam for cleaning and disinfecting urban areas? 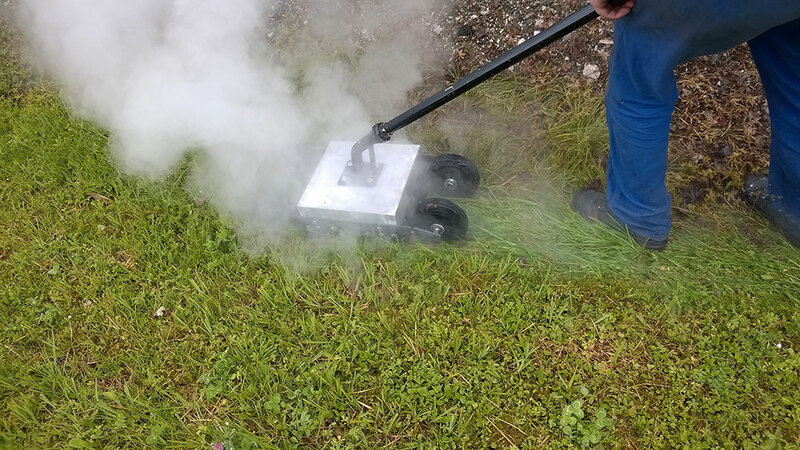 100% complete weeding: weeds are scorched by the steam. 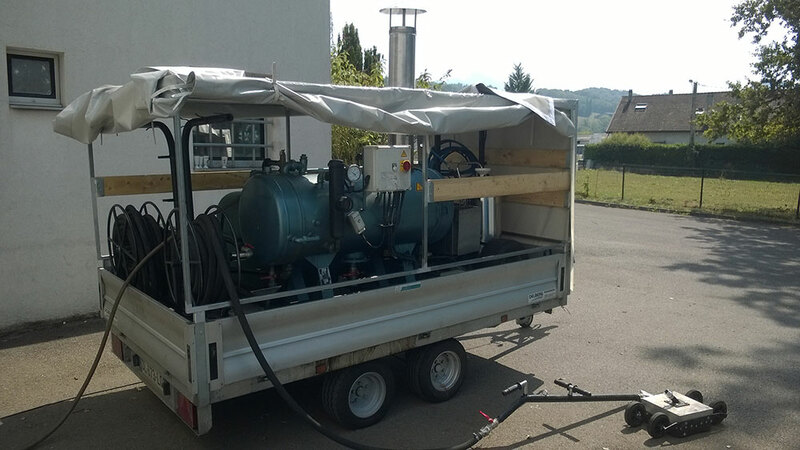 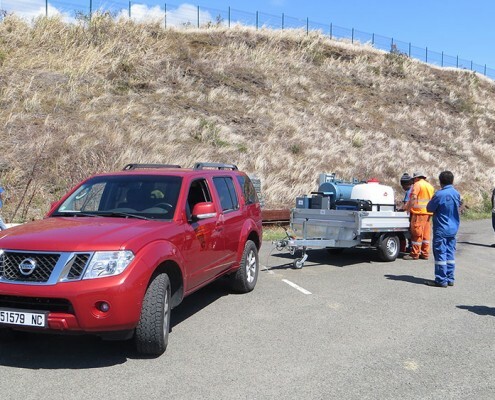 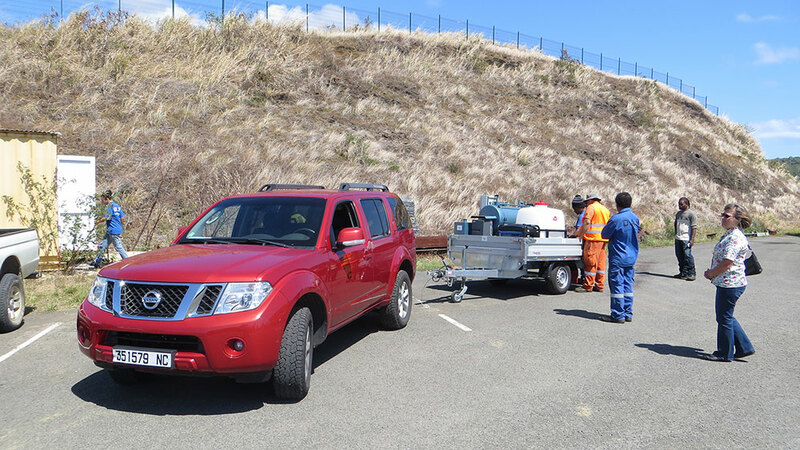 Autonomy: 4 ½ to 5 hours minimum continuous autonomy (with a generator and water tank). 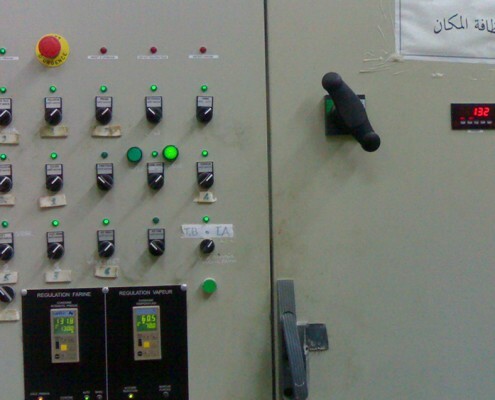 Simplicity: No particular qualification is necessary for the employees using the machine. 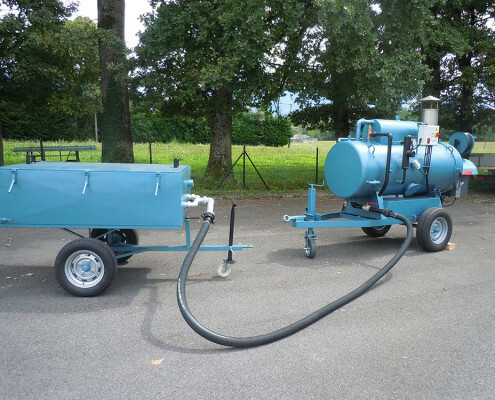 Profitability: Polyvalent for annual uses like weeding, disinfection (composts, sand boxes, ground soil preparation for flowerbeds, cleaning, and removal of glued signage). 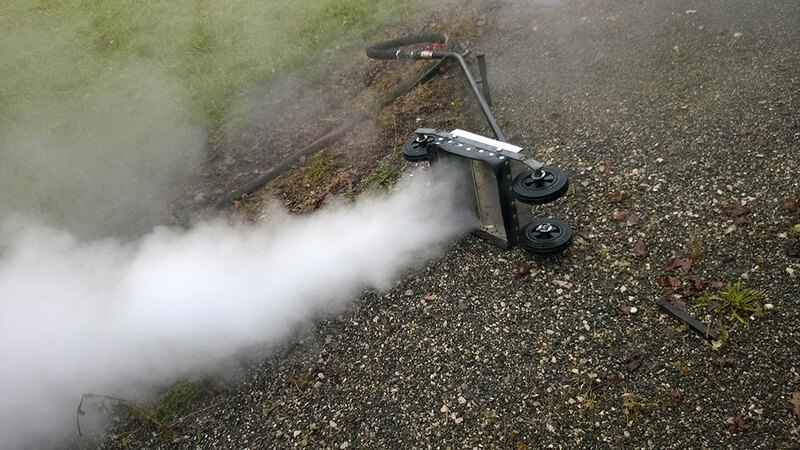 Maneuverability: Use on any surface (flat and slanted areas). 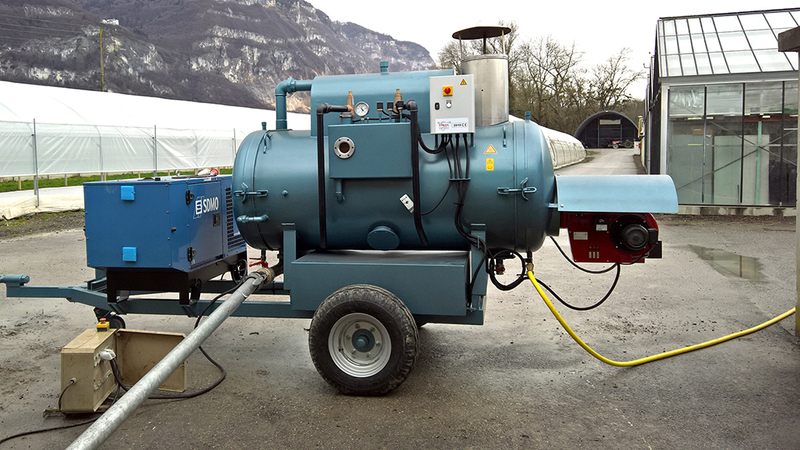 Safe use, without danger: low-pressure steam (no flames, no chemical products). 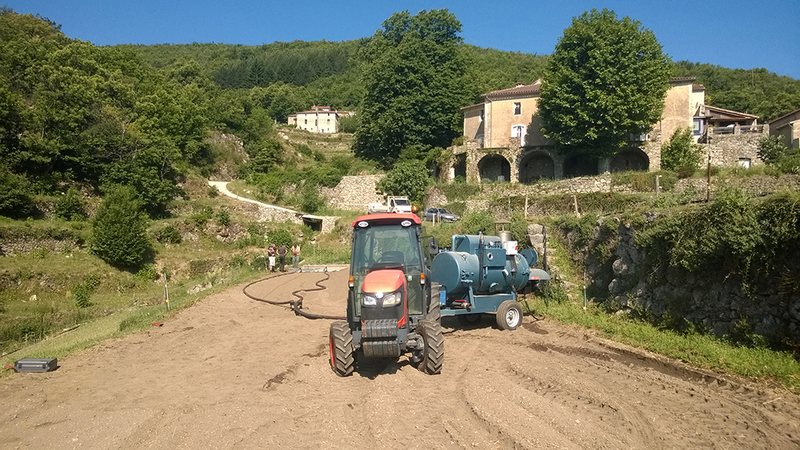 Respects the physiognomy of treated surfaces (graveled surfaces). 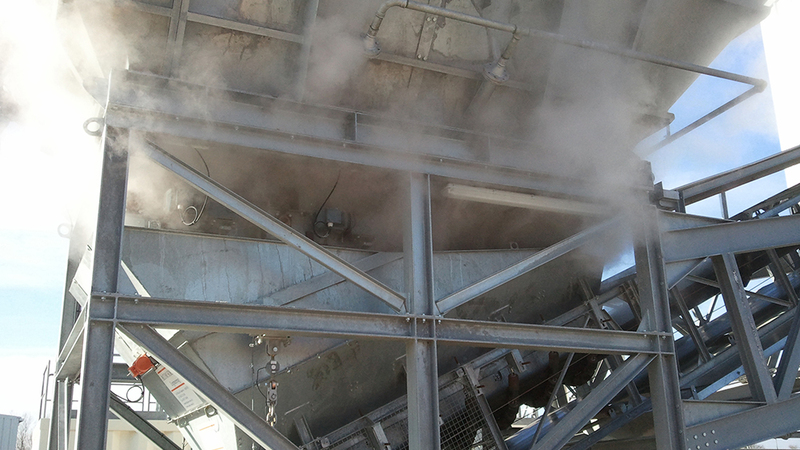 Reliability: Equipped with a smoke tube steam generator with which can function continuously for over 12 hours a day. 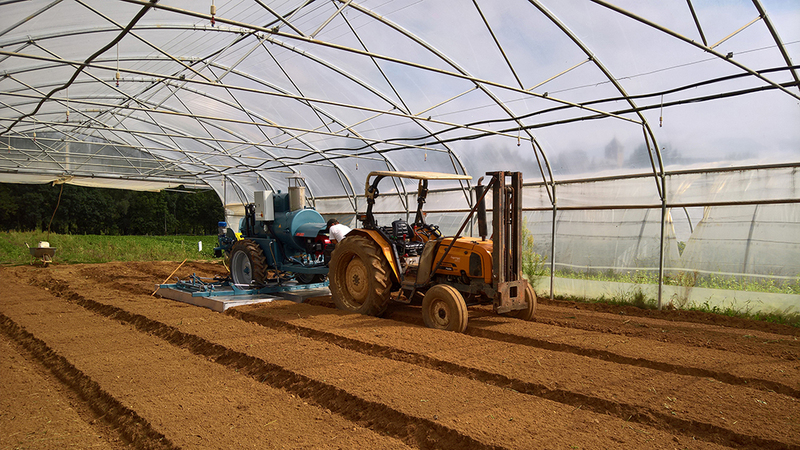 Ecological: Weeding by steam combats against pollution, it’s a healthy and natural method which preserves the ground water. 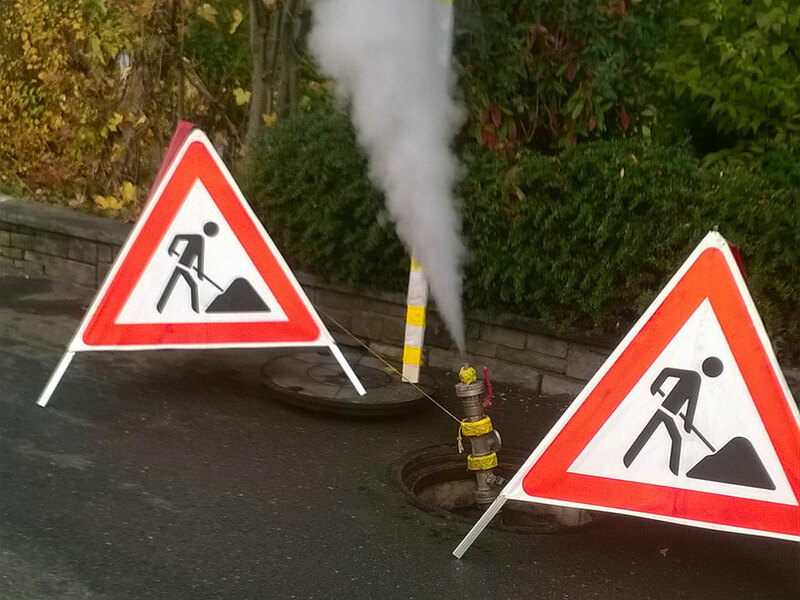 Polyvap is the answer for restrictions imposed by Green Space Maintenance services. 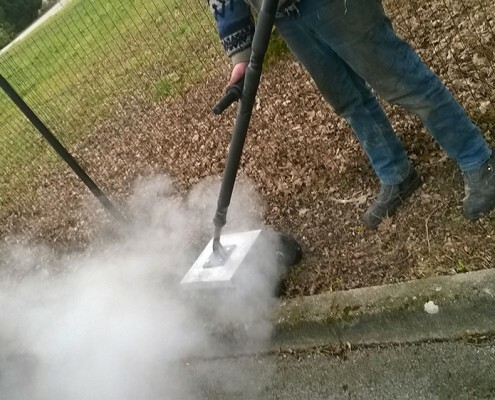 Urban weeding of roads, paths, sidewalks, cemeteries, parking lots, playgrounds, etc. 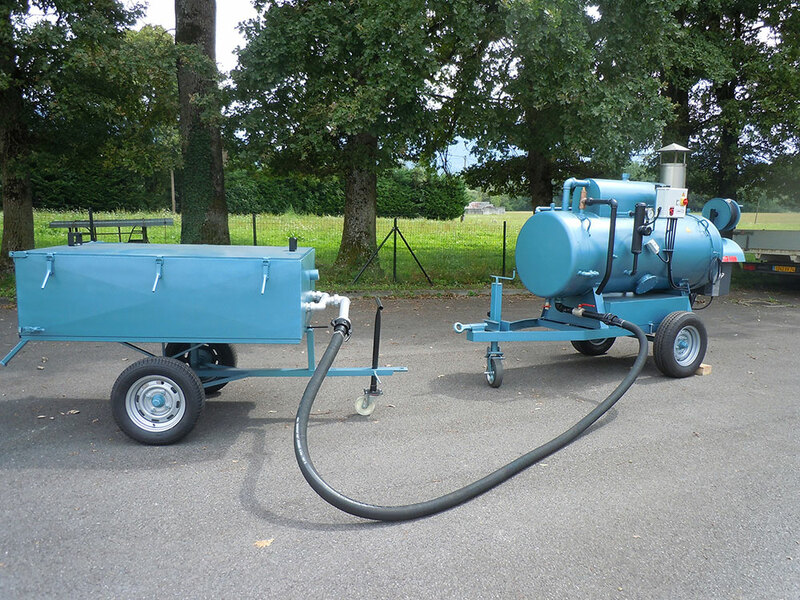 Disinfection of sandboxes in playgrounds and in public toilets. 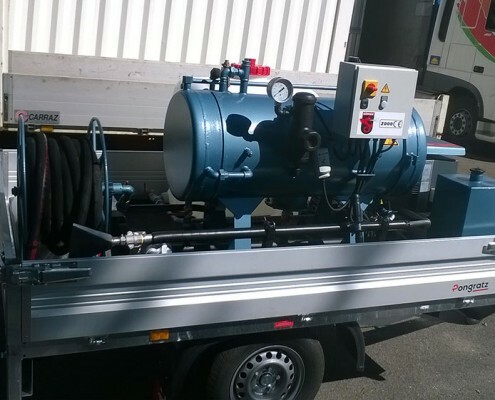 Polyvap 2000 for 1 user (mounted onto a trailer allowing up to 1200 kg). 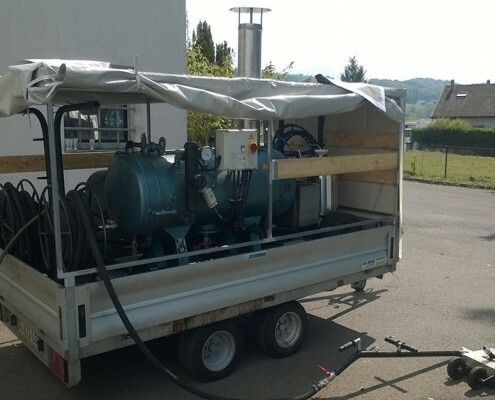 Polyvap 2001 for 2 users (on 3.5t truck chassis or adapted trailer). 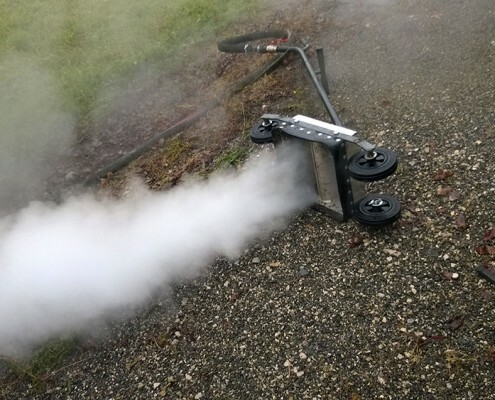 Nozzle lances for use in narrow locations. 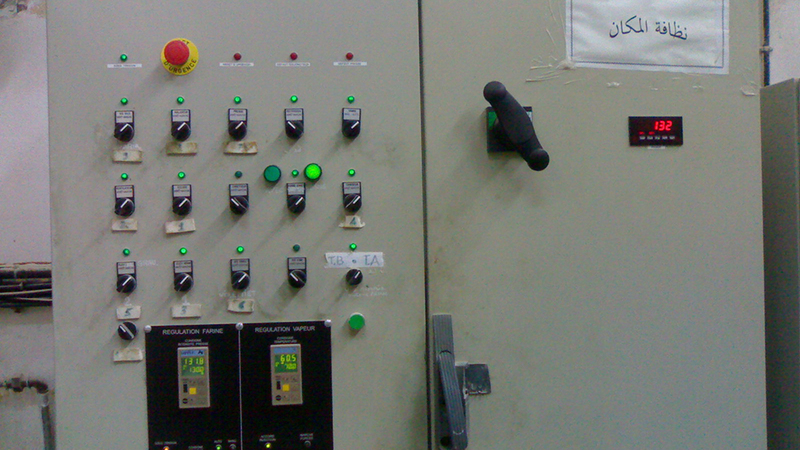 Various powers available according to needs. 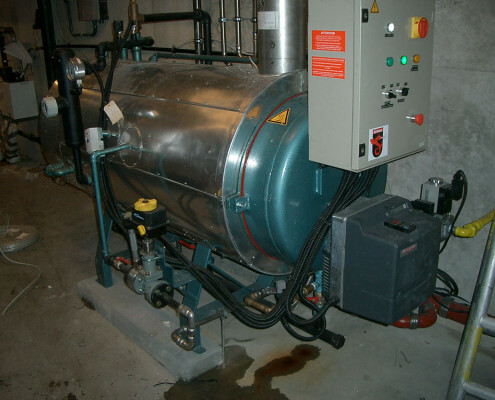 Energy: fuel or vegetable oil is optional (recuperation from school cafeterias). 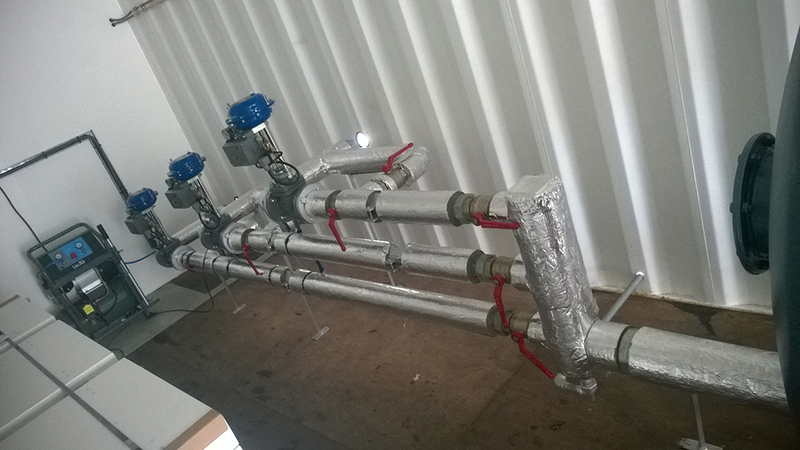 The repairing of pipes, plumbing and sewage systems by fiber glass socks. 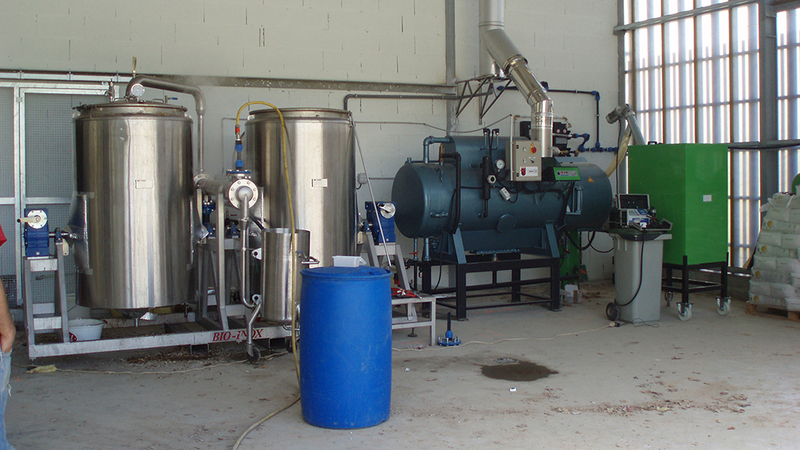 The low-pressure steam is used in the process of polymerization of glues. 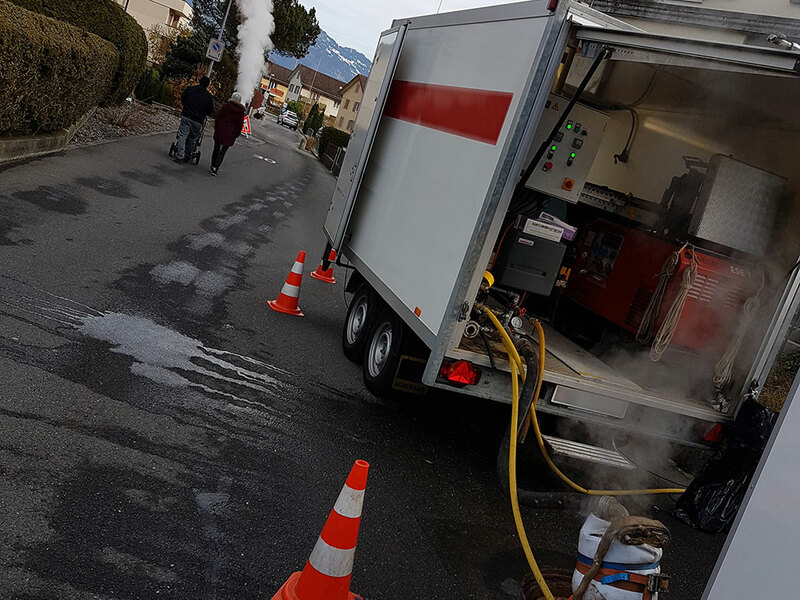 Superheated or saturated low-pressure steam is an excellent thermal way to heat liquids (water, milk,…) up to 110°C, for thawing or cooking. 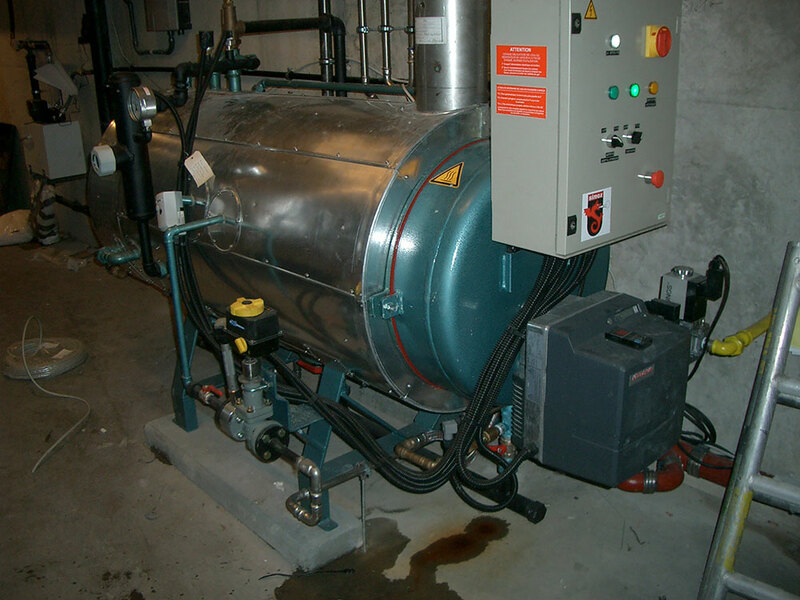 Low-pressure steam solutions to answer specific professional industrial needs. 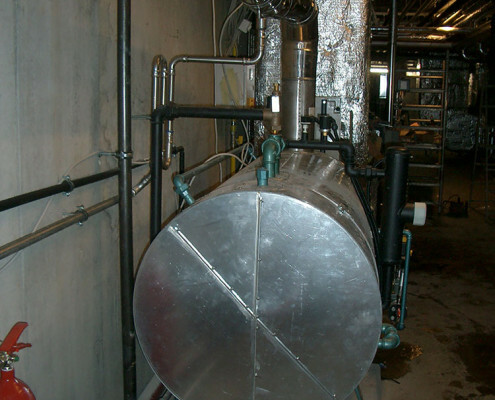 The low-pressure steam to warm liquids and viscous products is an economical solution which optimizes output. 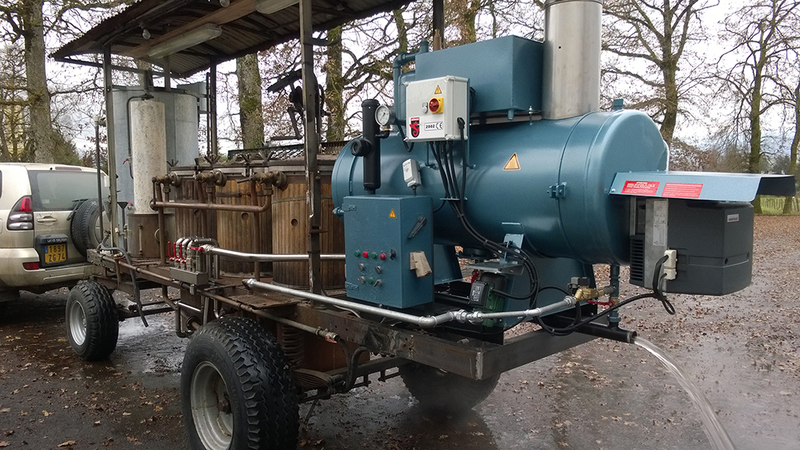 Principle of timber drying by low-pressure steam. 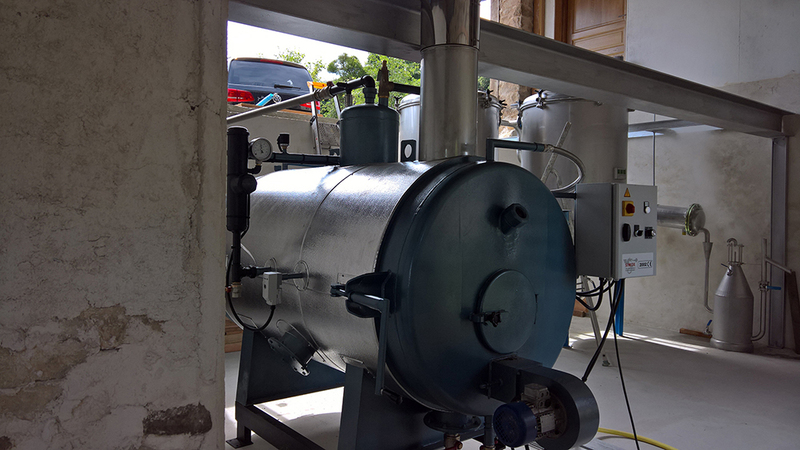 The wood undergoes low-pressure steam to soften the tissue and push through the resin. 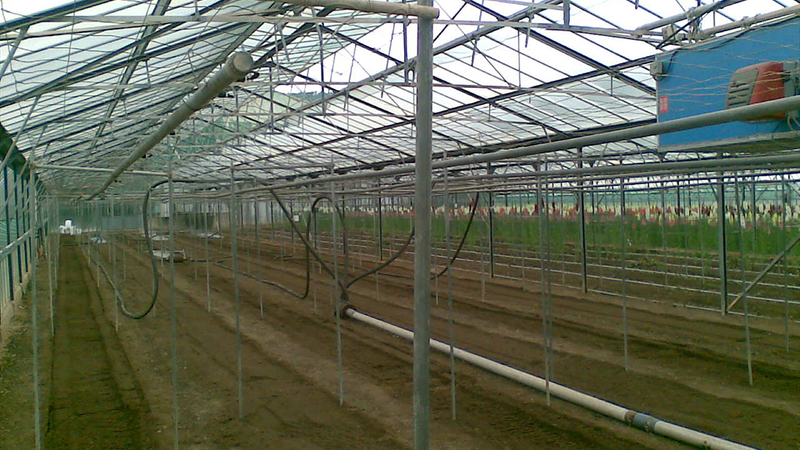 This allows obtaining a low level of humidity, in a progressive manner. 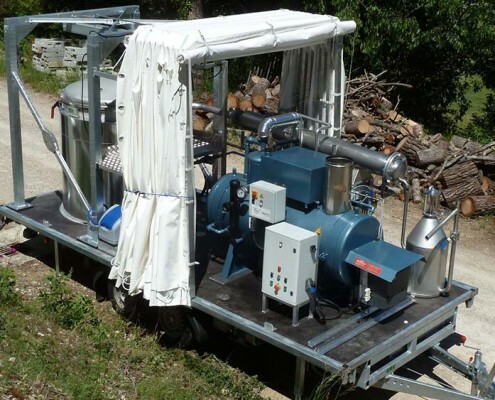 Why use low-pressure steam for timber drying? 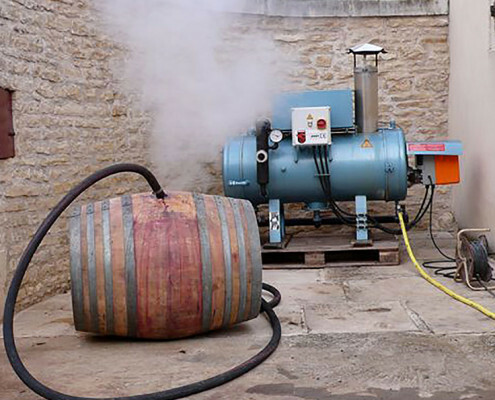 The solution for the wine-making and food industries. 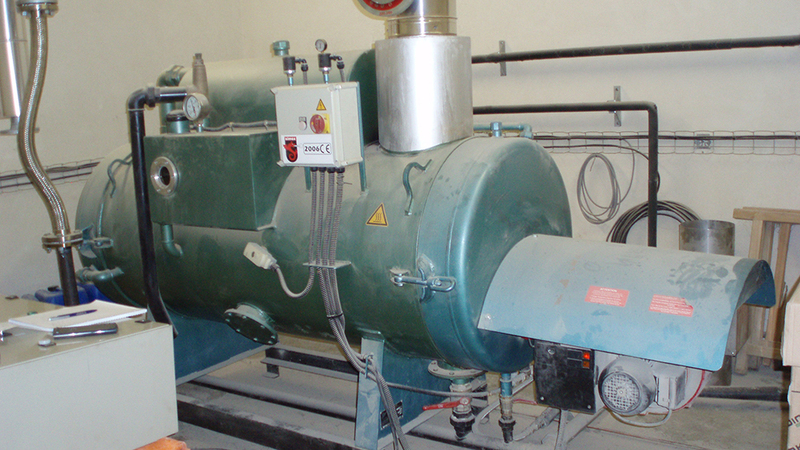 Principle for sterilization by low-pressure steam. 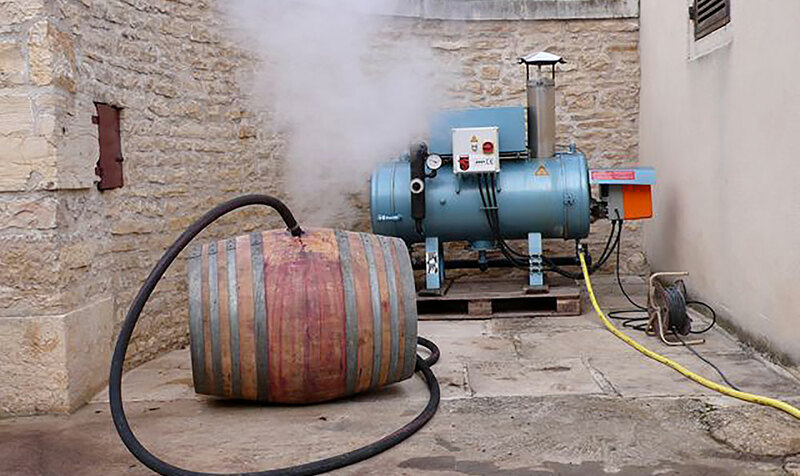 The sterilization and disinfection by low-pressure steam is an ideal method for wine barrels and the contents in the wine-making and food industries, but equally for the disinfection of substrates in the production of mushrooms. 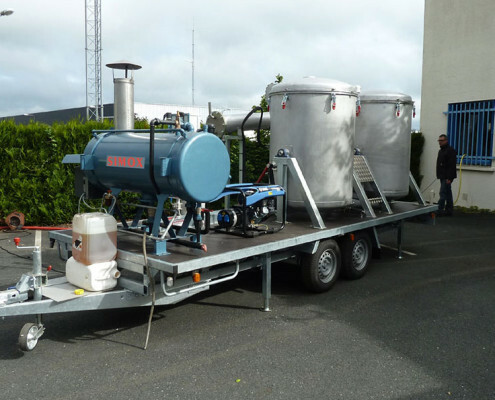 Why use the low-pressure steam for sterilization? 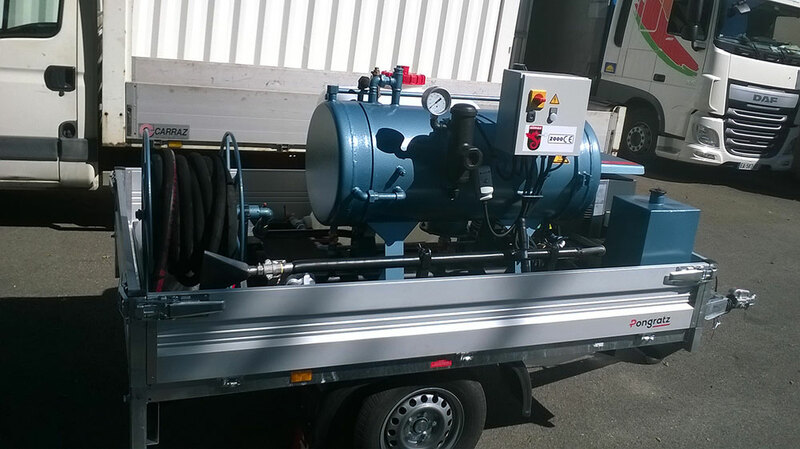 Not subject to standards as with high-pressure steam, which allows you to maintain high output. 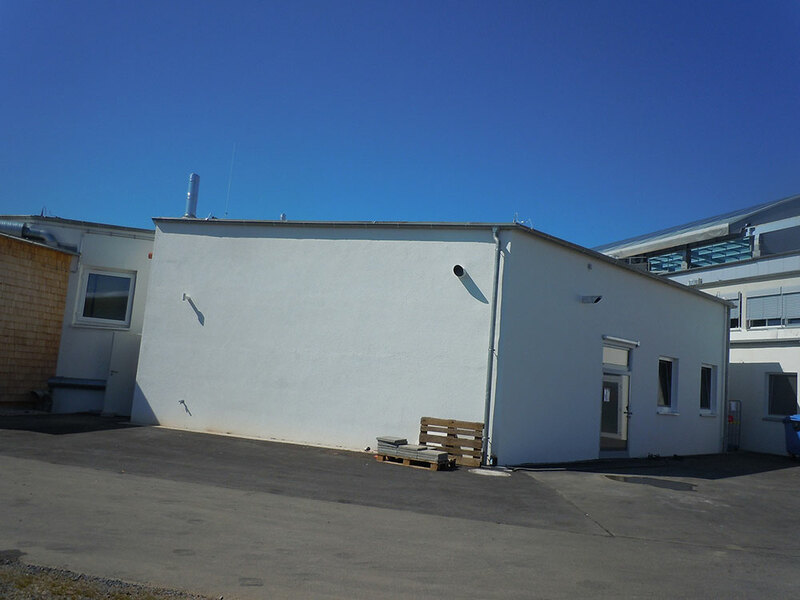 The solution for Agricultural Research Centers. 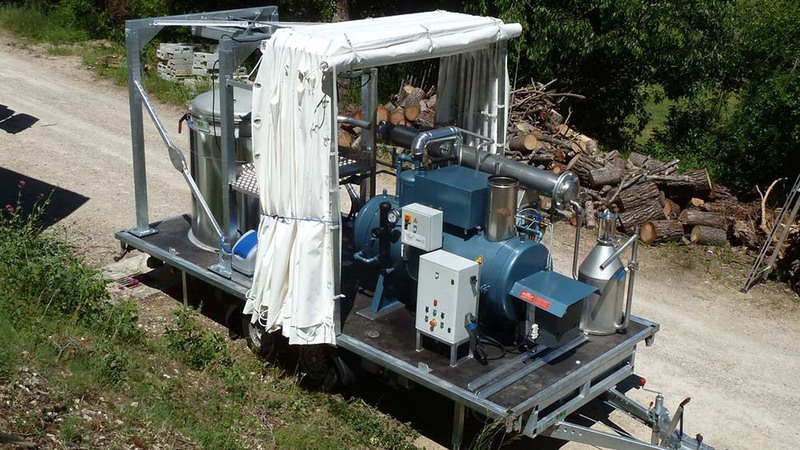 Principle for the destruction of organic matter by low-pressure steam. 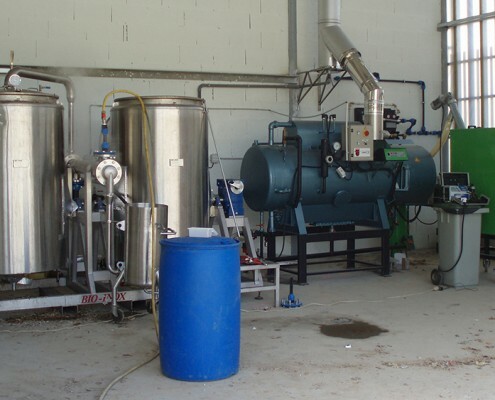 The destruction of organic matter by low-pressure steam answers needs of public and private Agricultural Research Centers where the destruction of organic matter created through research is mandatory. 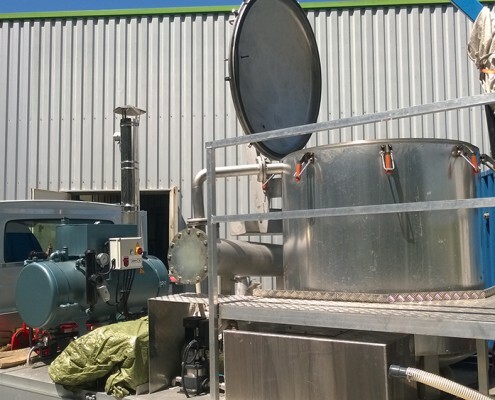 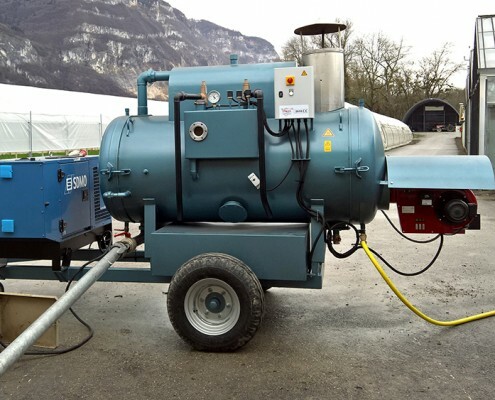 SIMOX proposes these solutions adapted to this obligation with low-pressure steam generators heated to distribute steam at 170°C in order to destroy organic matter. 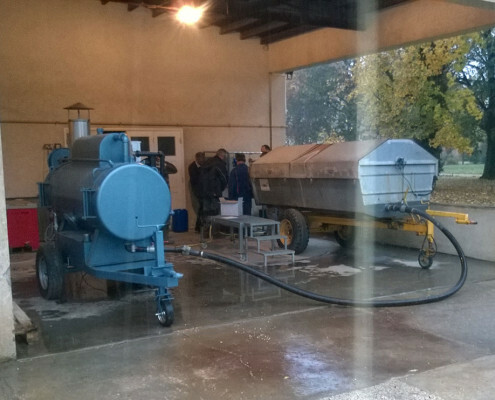 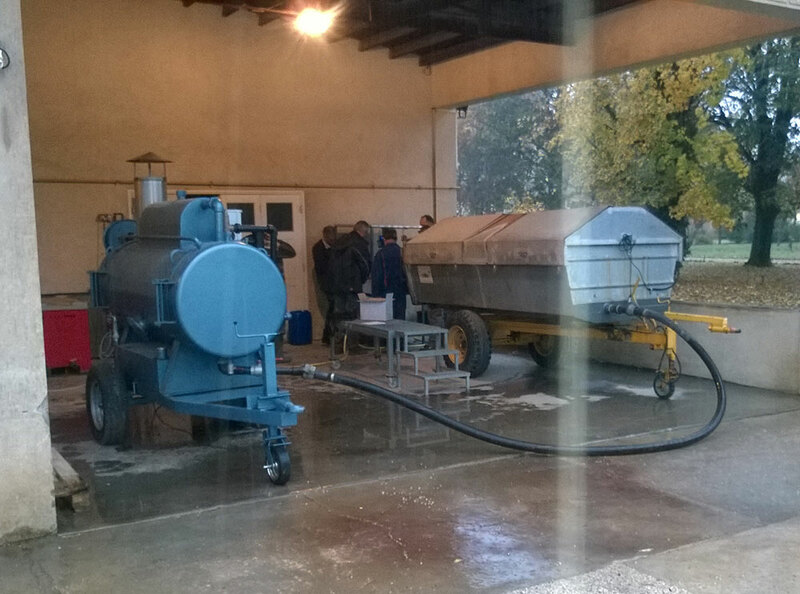 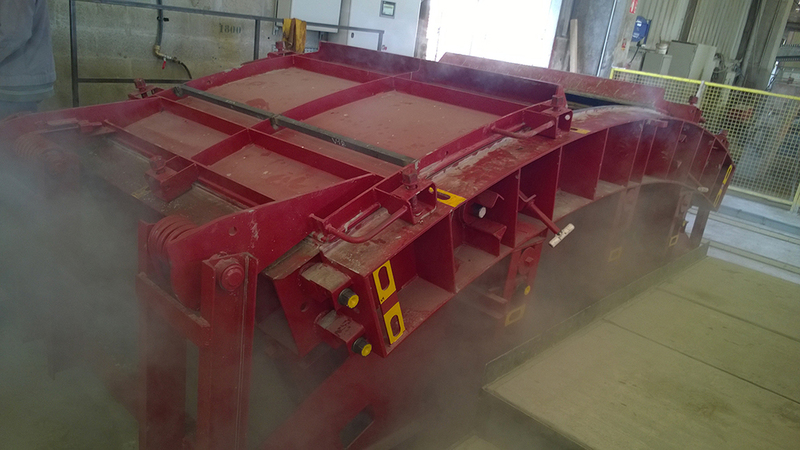 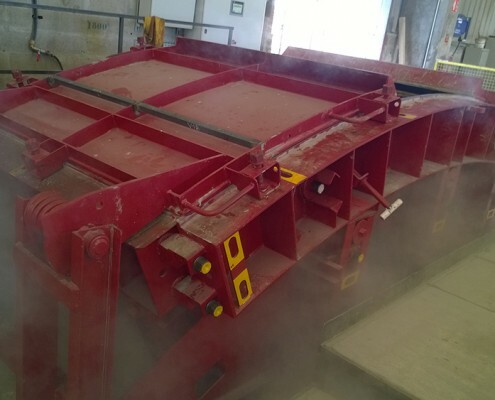 Disinfection collecting tanks adapted to destroy organic matter. 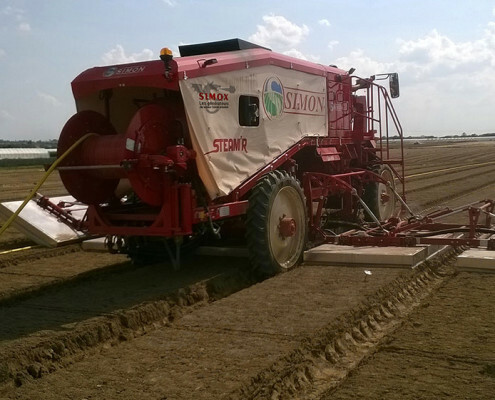 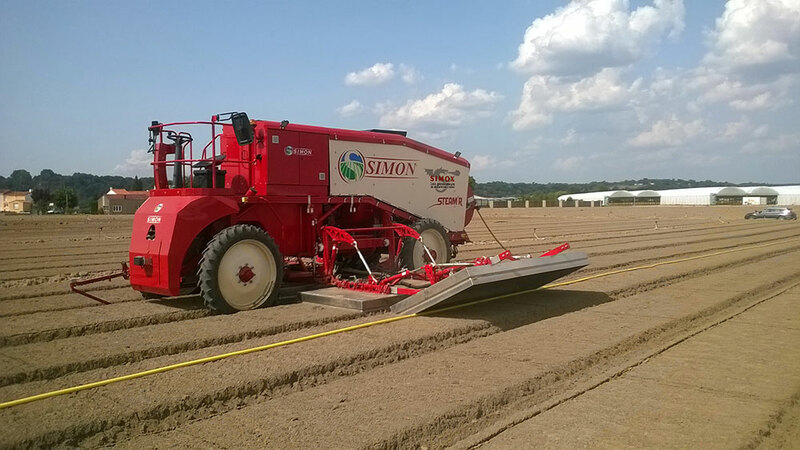 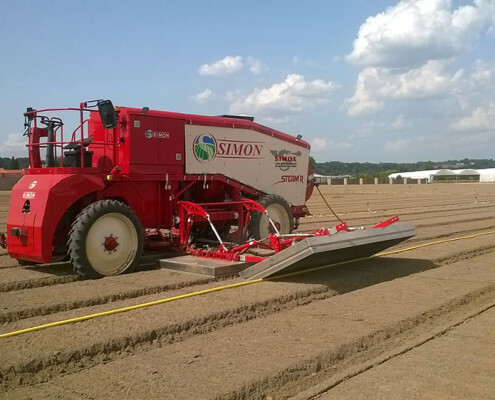 SIMOX partners with Agricultural Research Centers! 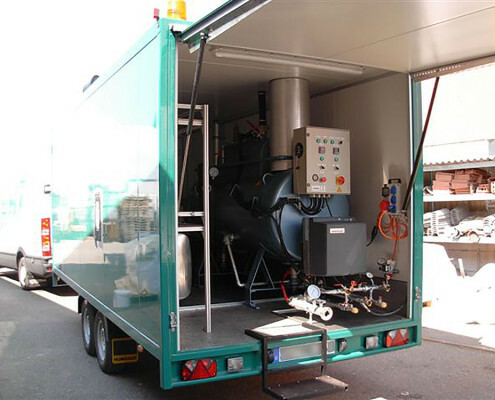 The laundry services industry equally uses the low-pressure superheated steam. 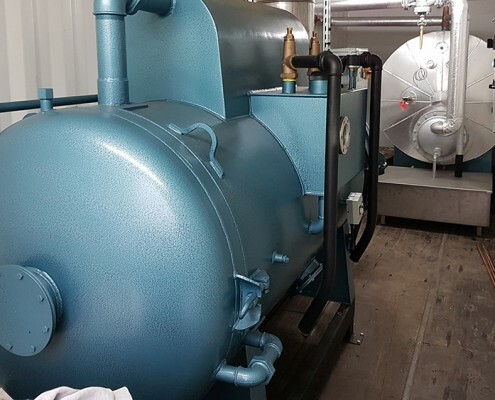 Low-pressure steam is a quick, efficient and more economical solution answering the specific needs of professionals in water parks, well-being, and laundry services industries.